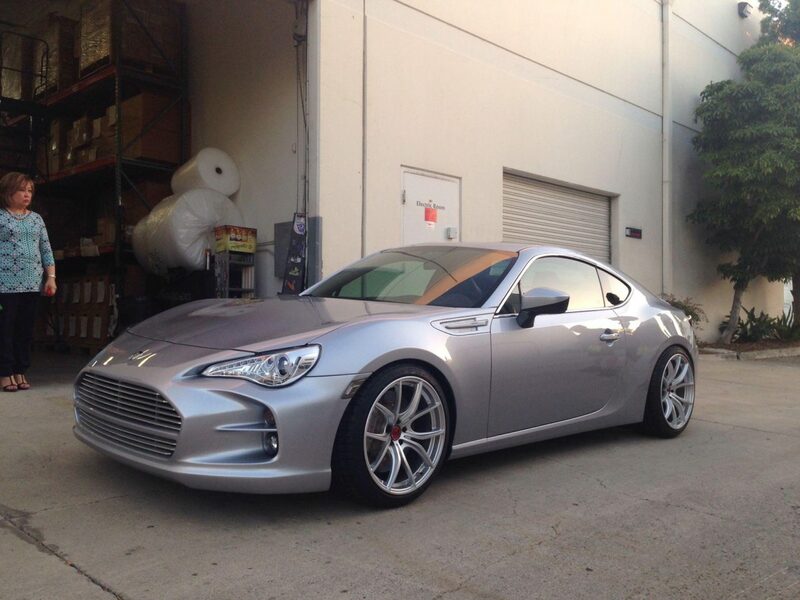 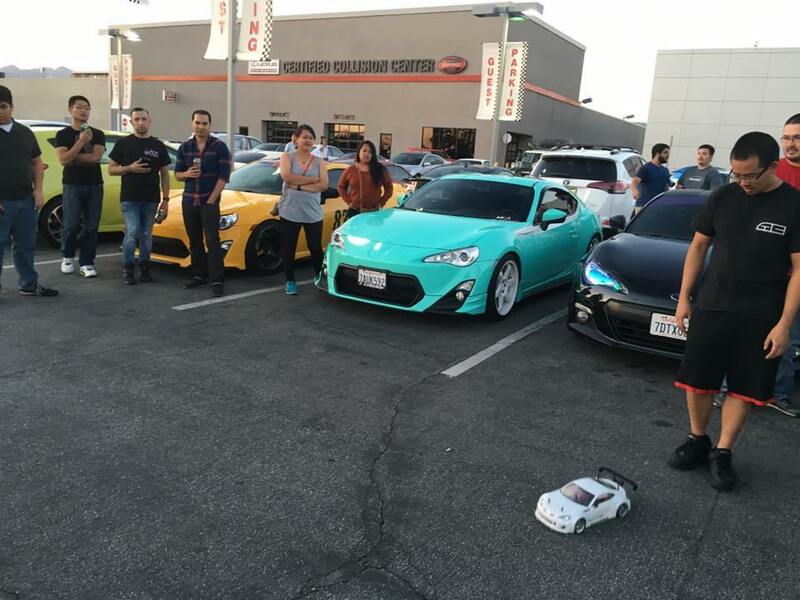 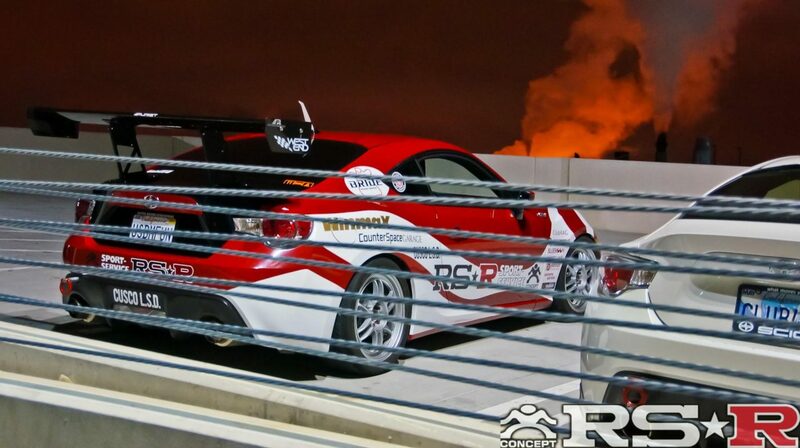 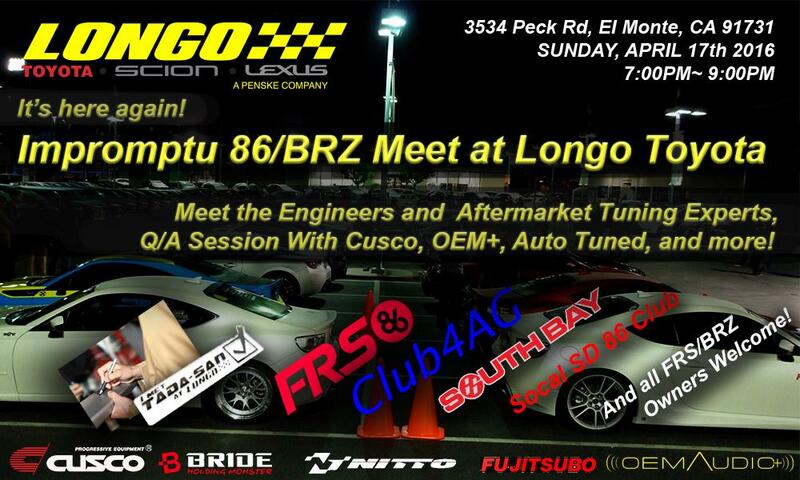 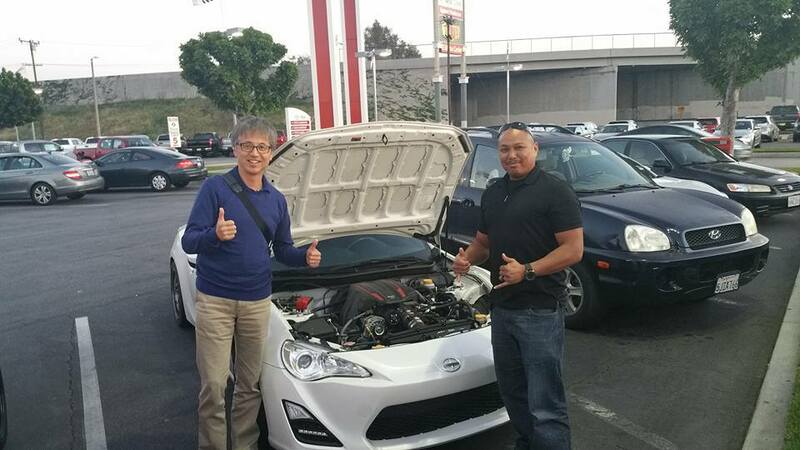 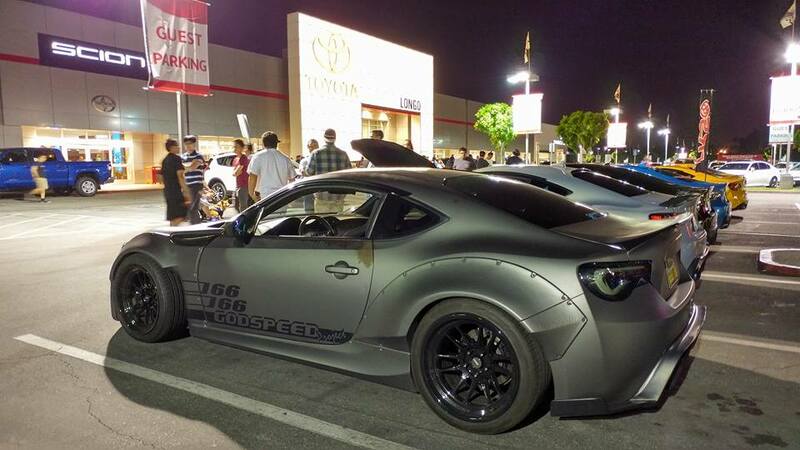 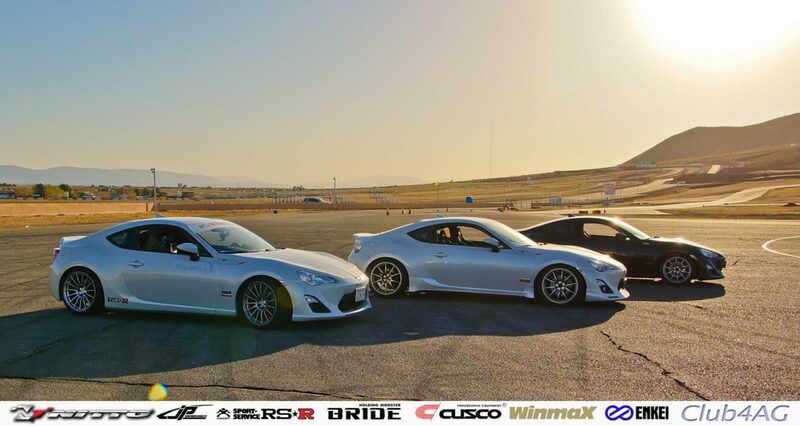 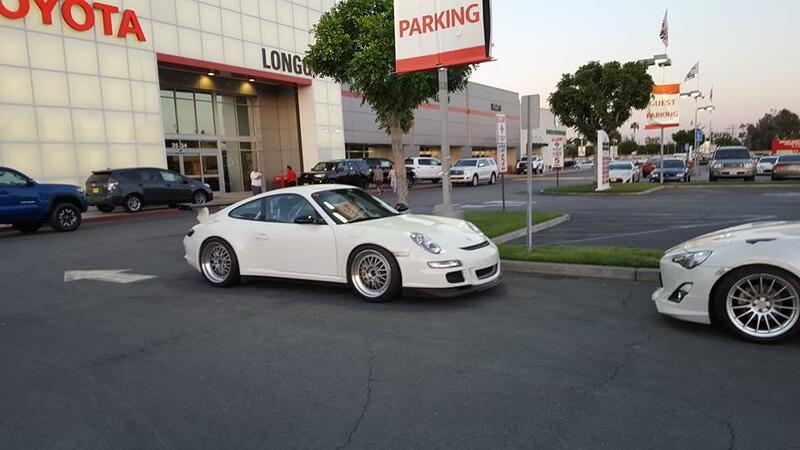 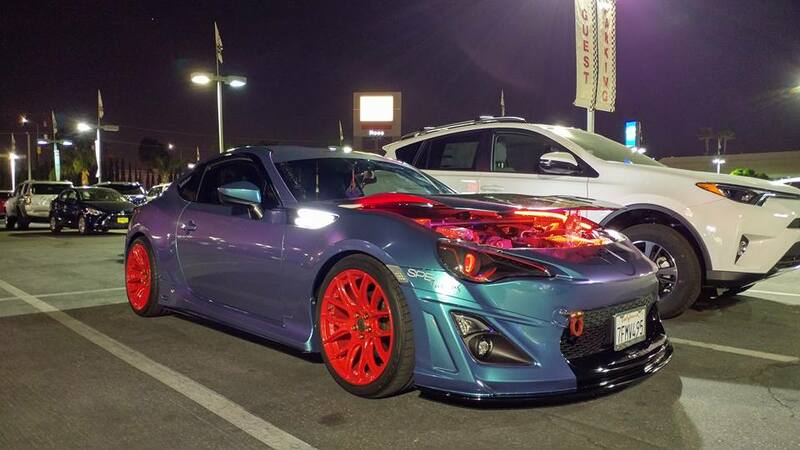 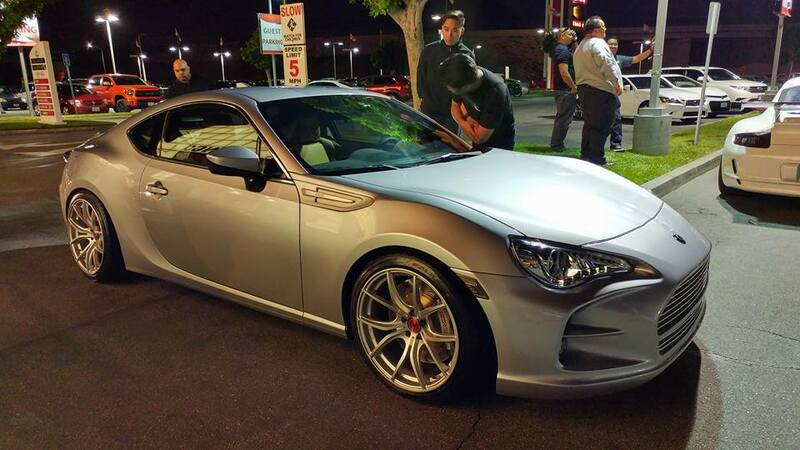 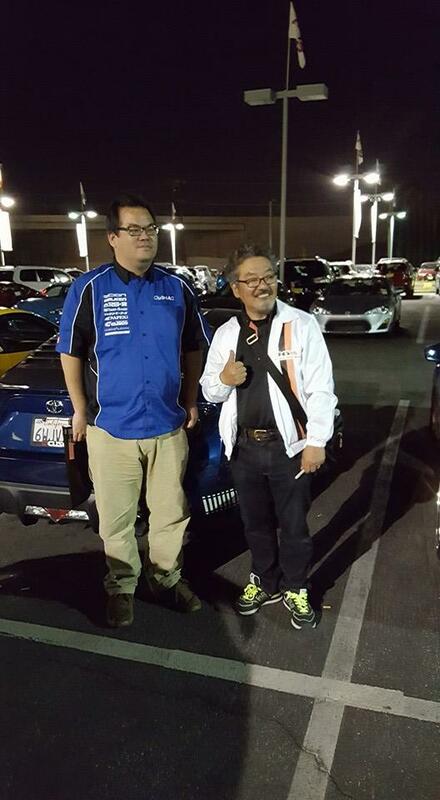 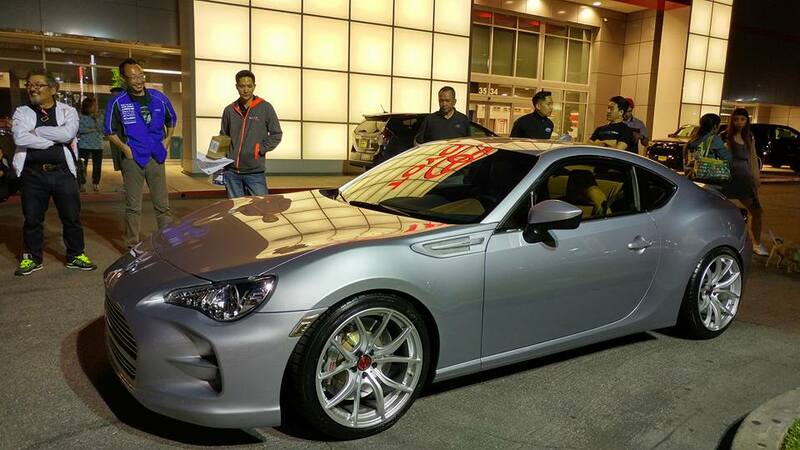 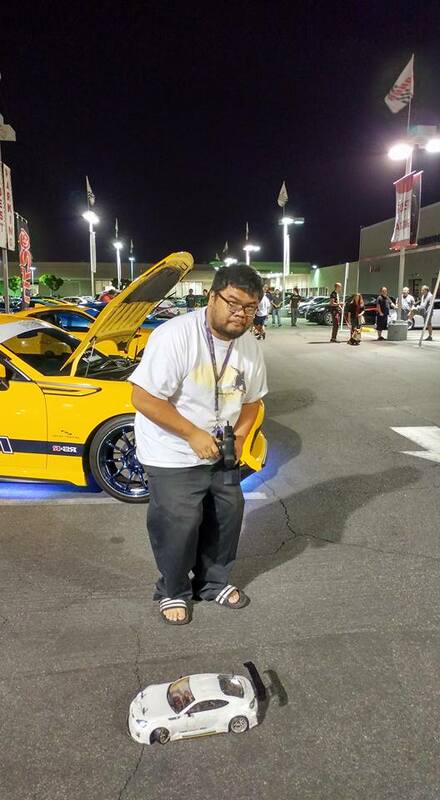 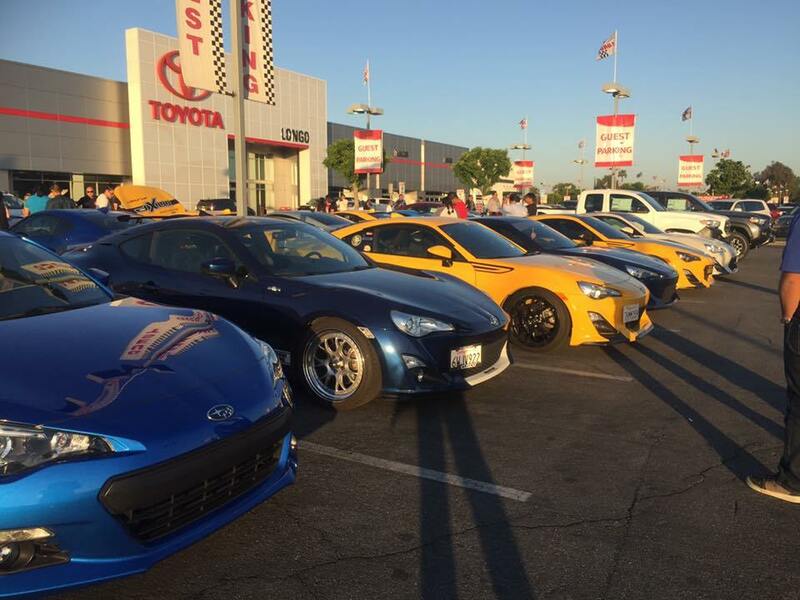 Photo: Socal Southbay 86, FRS86, AutoTuned, 86 Owners, and Rex Torres. 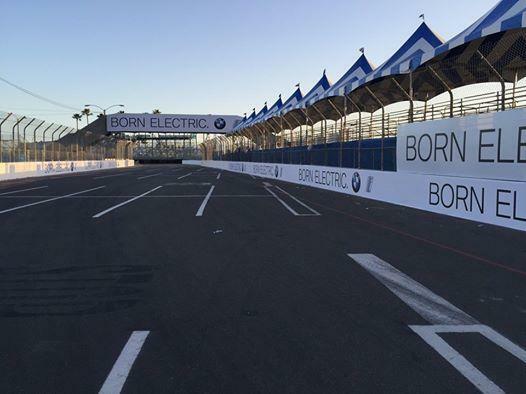 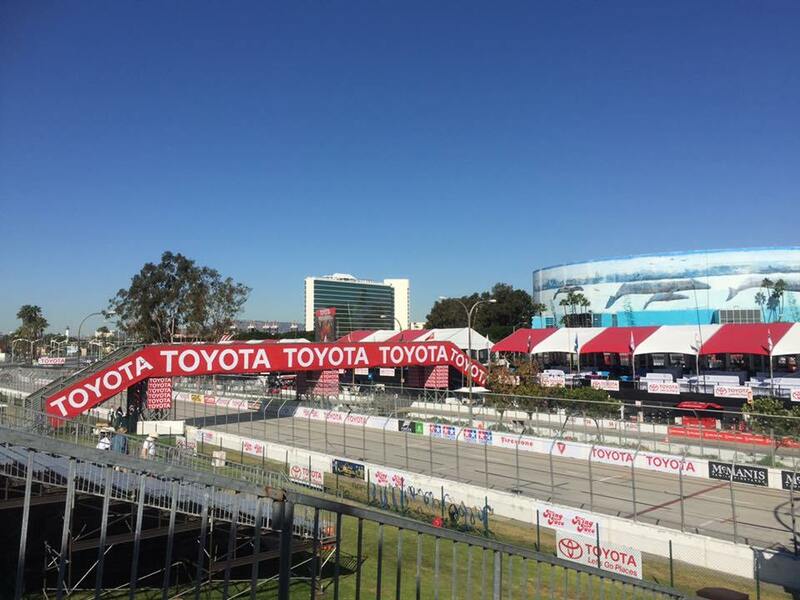 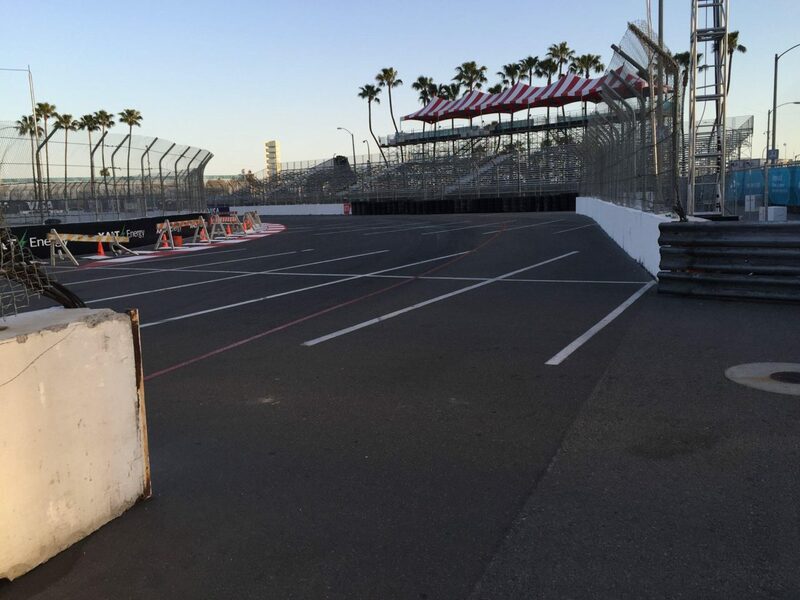 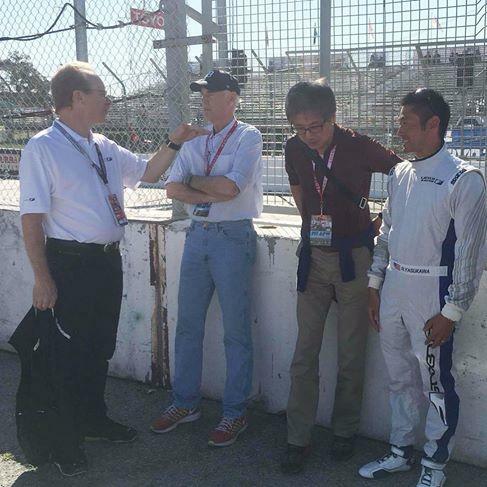 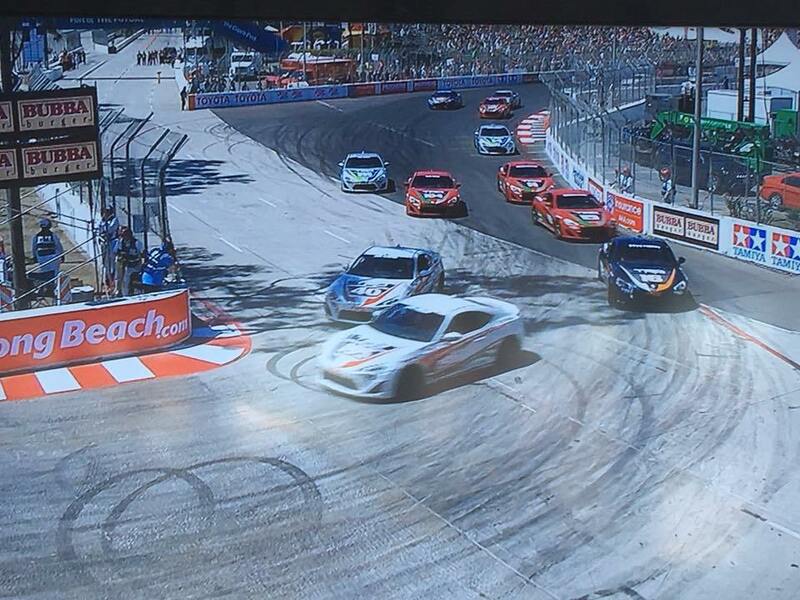 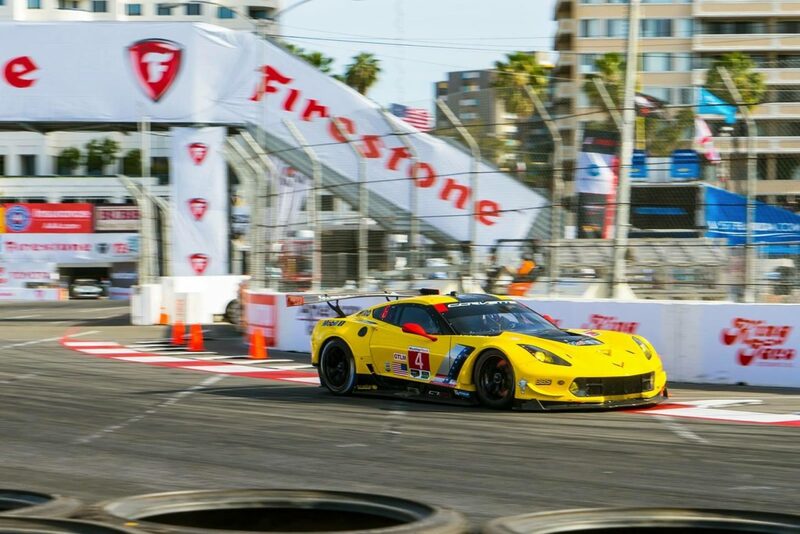 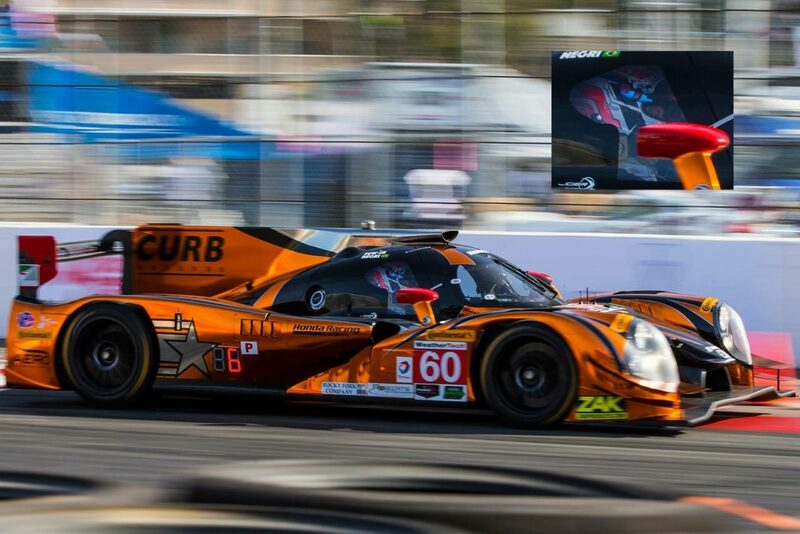 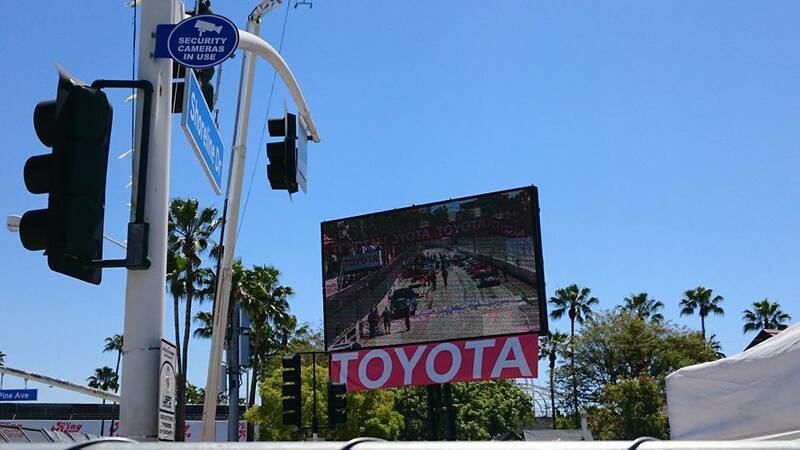 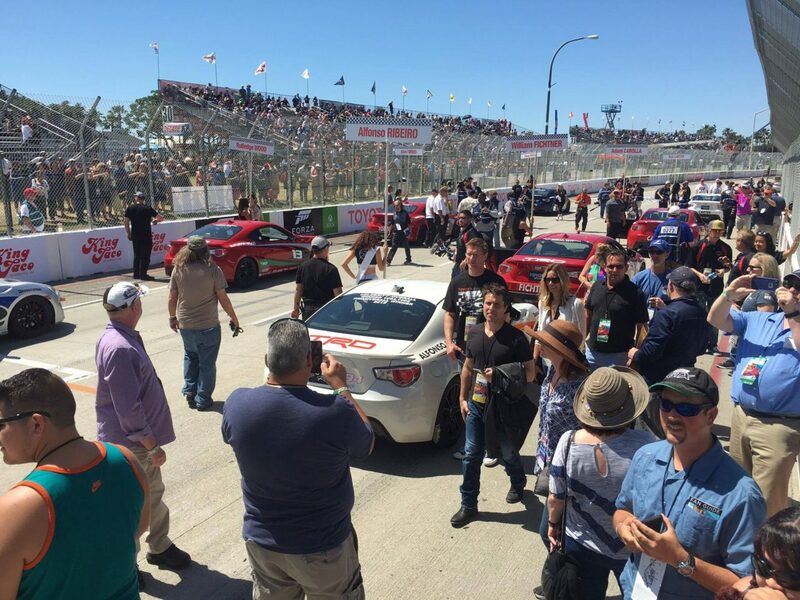 Every year in April, the Grand Prix of Long Beach comes to life, held in downtown streets of Long Beach that's transformed into an international raceway of 3.17 kilometers. 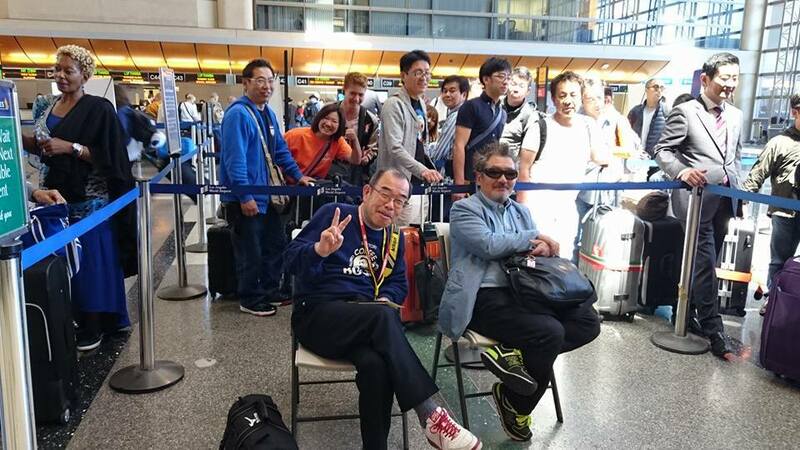 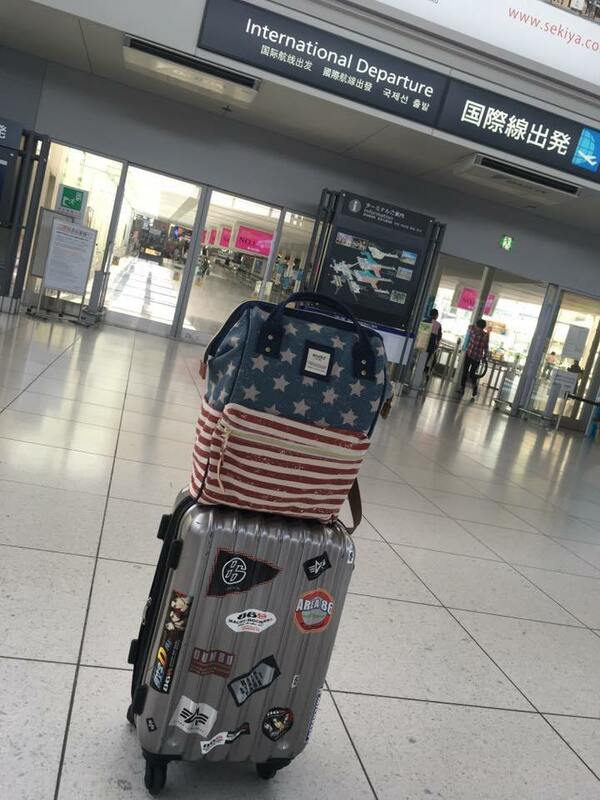 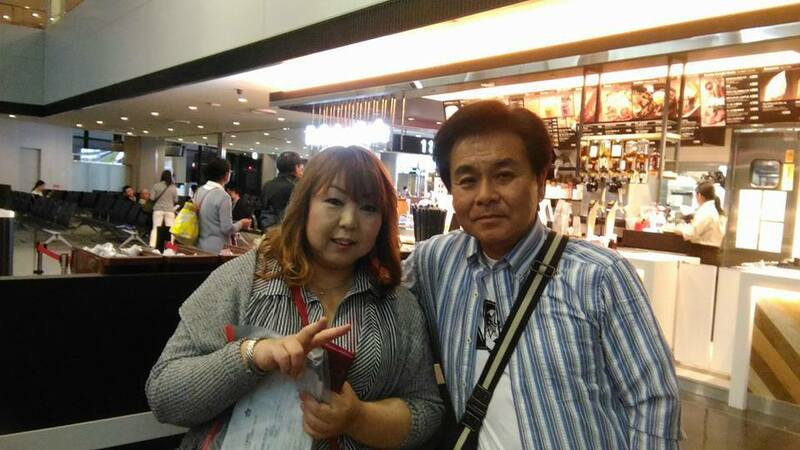 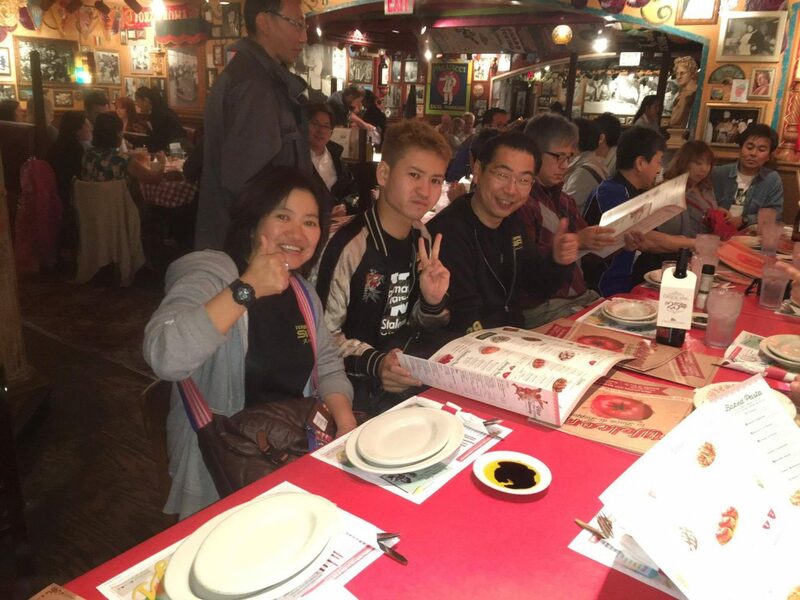 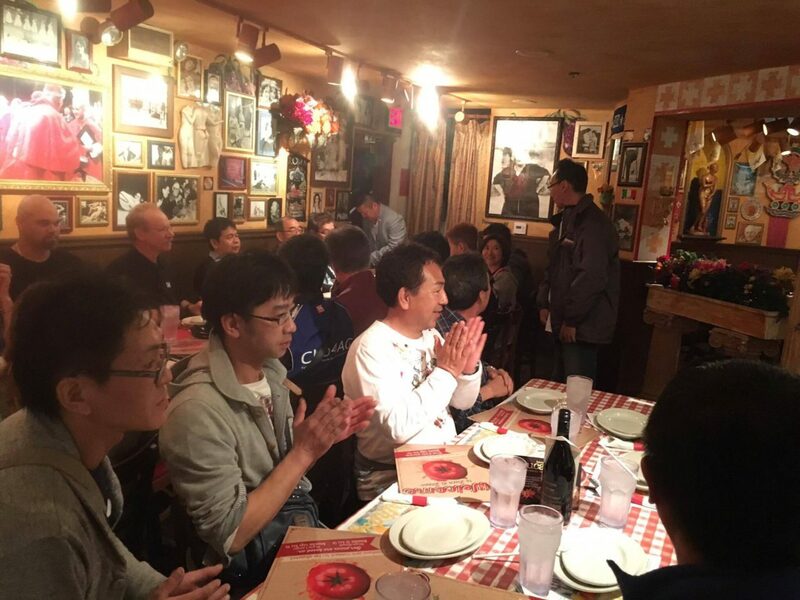 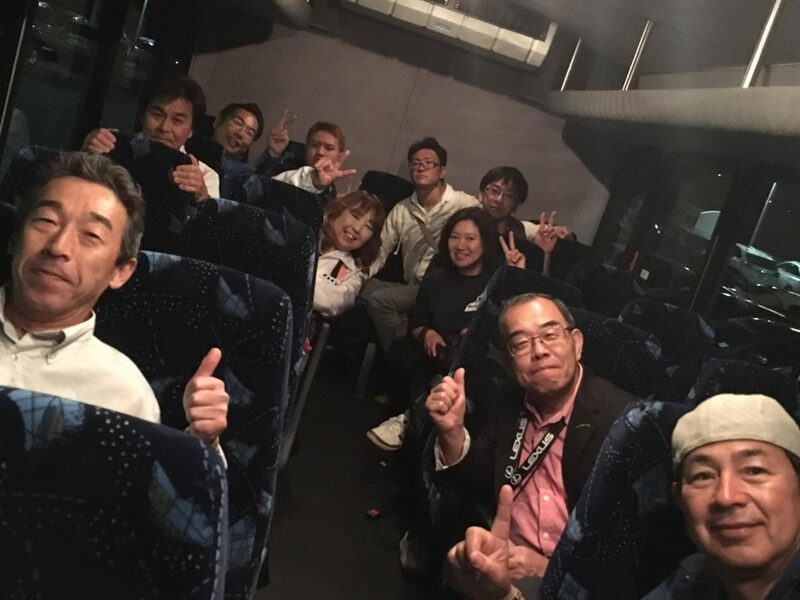 This year was special however, with some really special guests from Japan attending as guests. 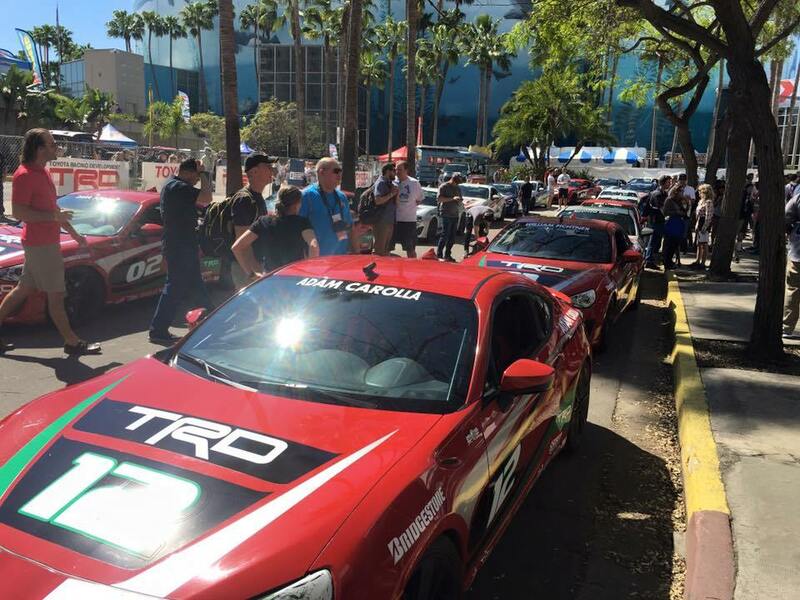 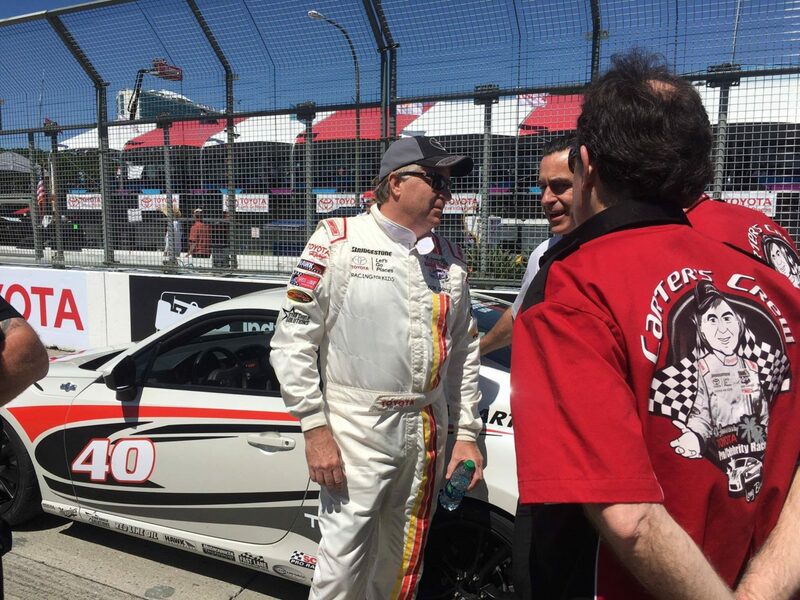 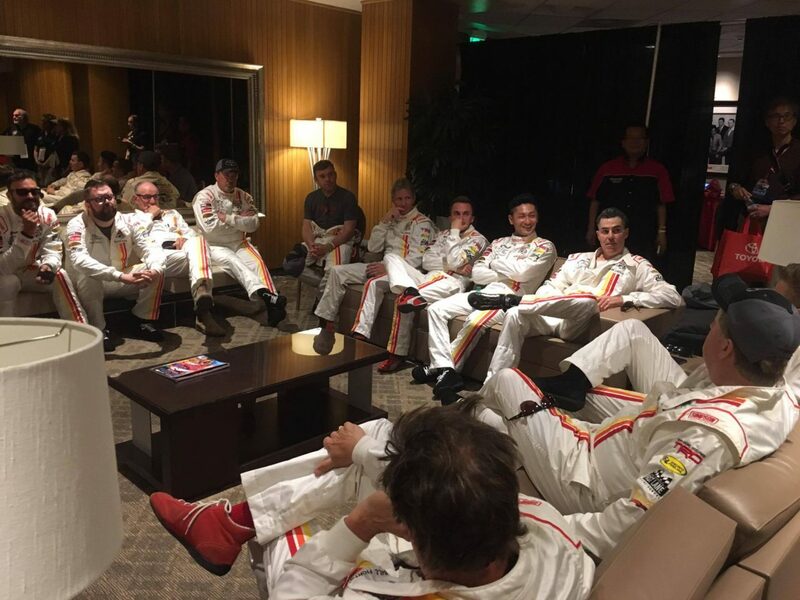 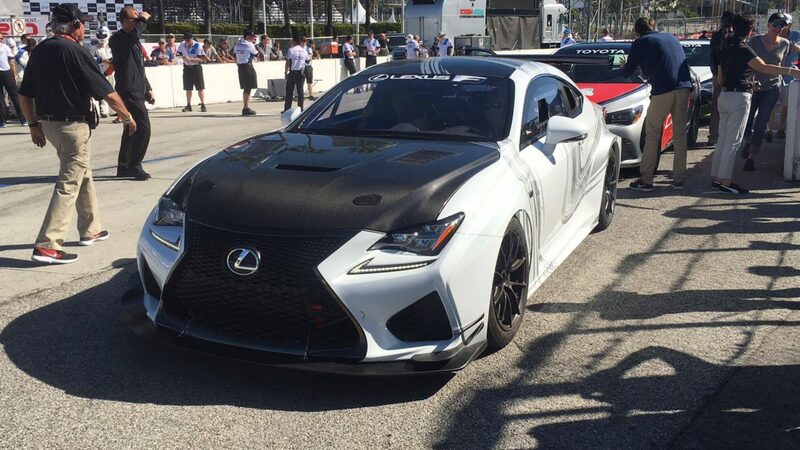 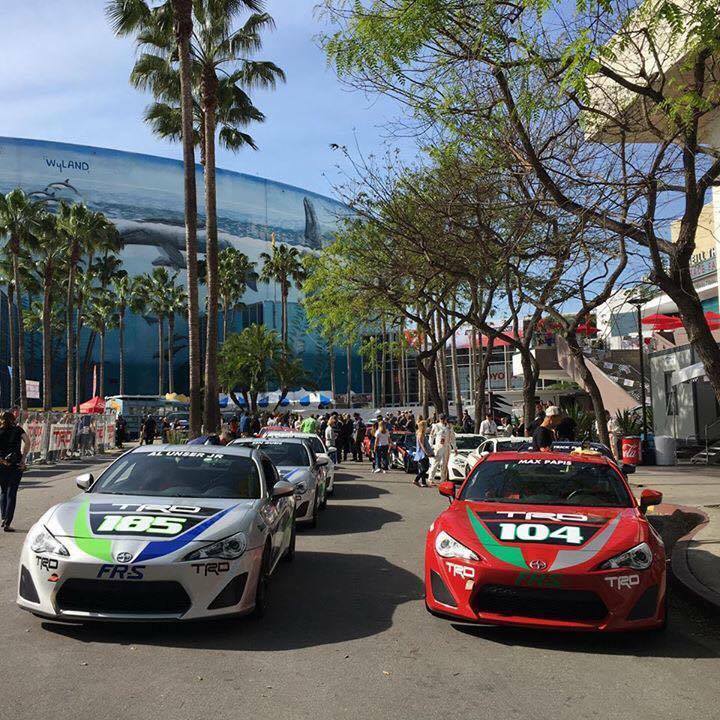 With the final race for Toyota Pro-Celebrity Race after 40 years of rich history, it was also the last time the Scion FR-S would race with these Pros and Stars of American culture. 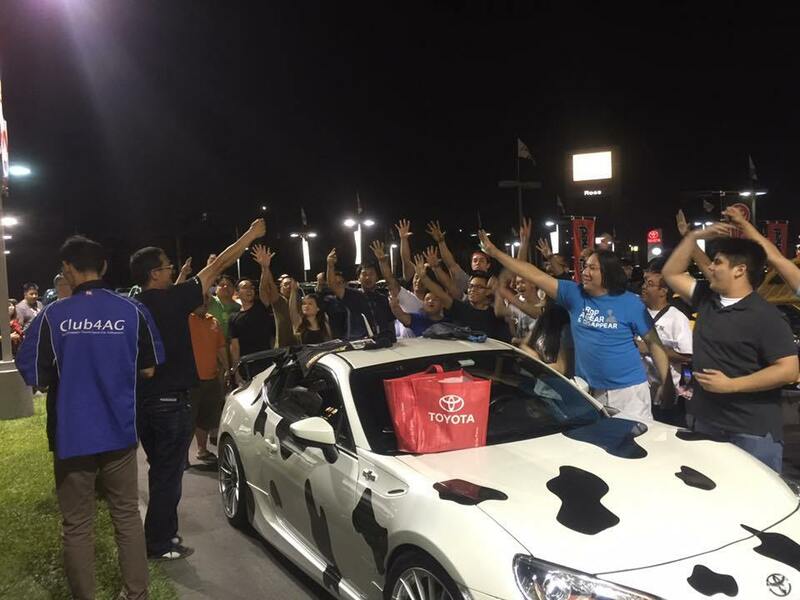 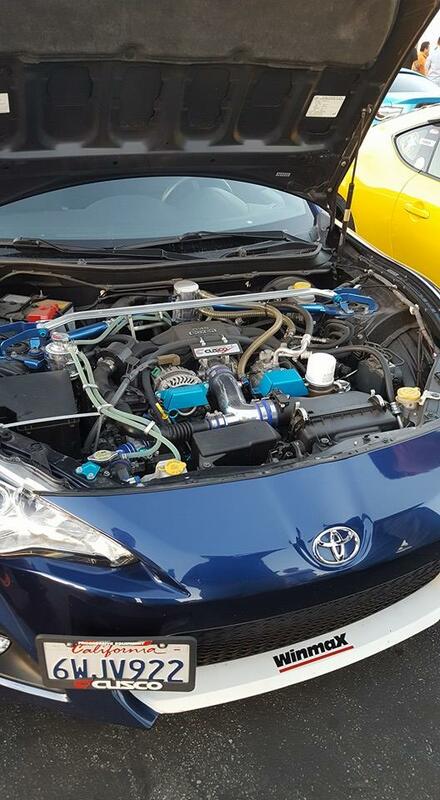 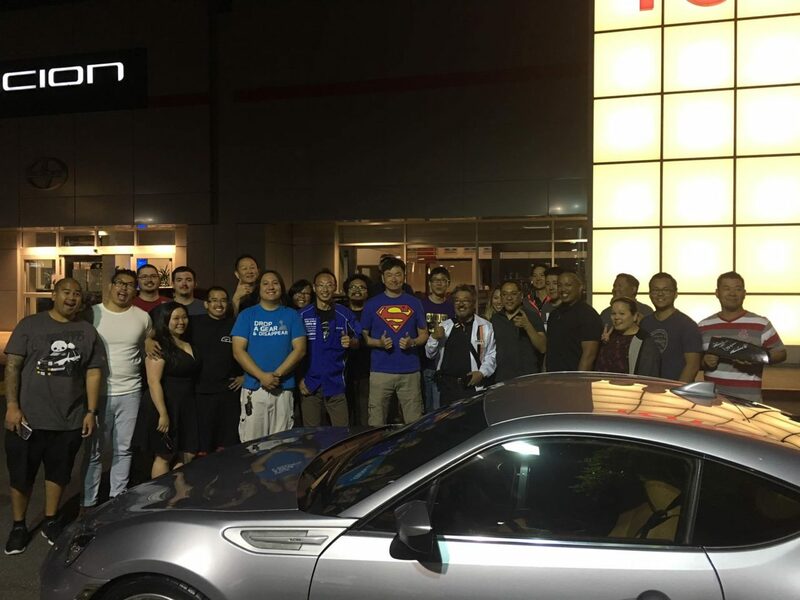 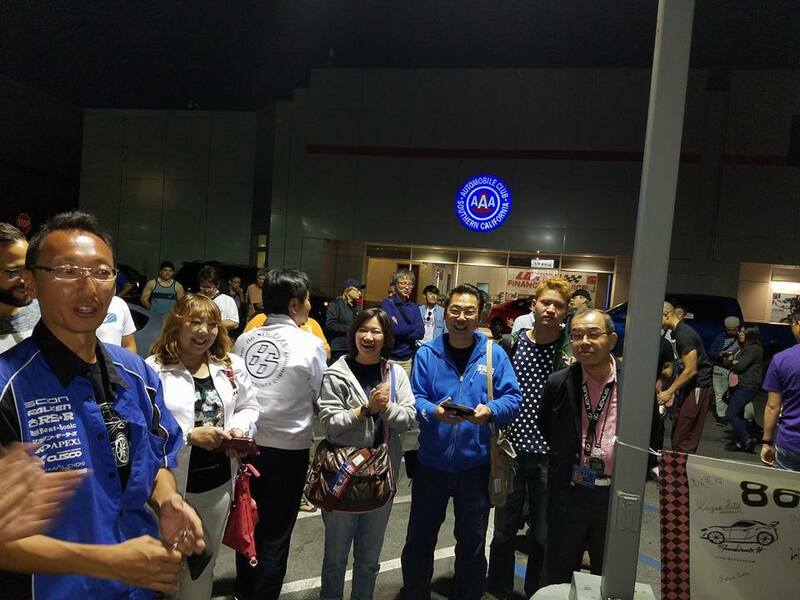 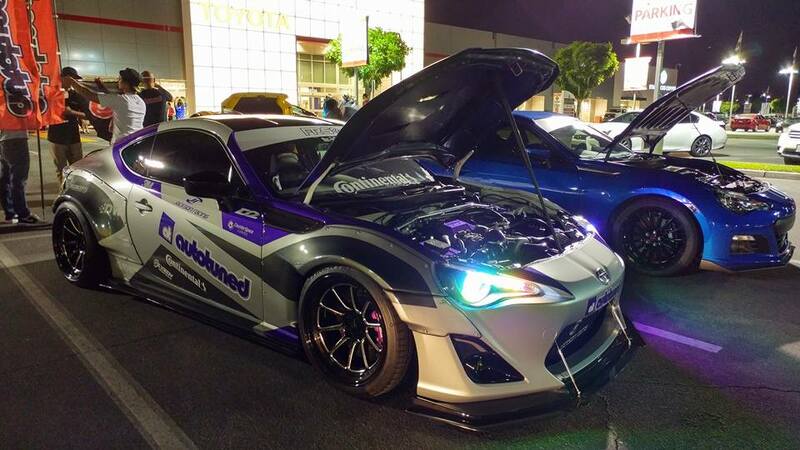 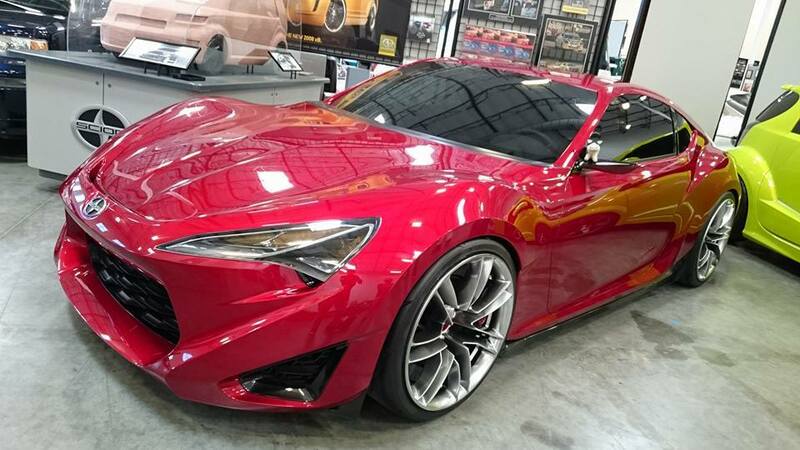 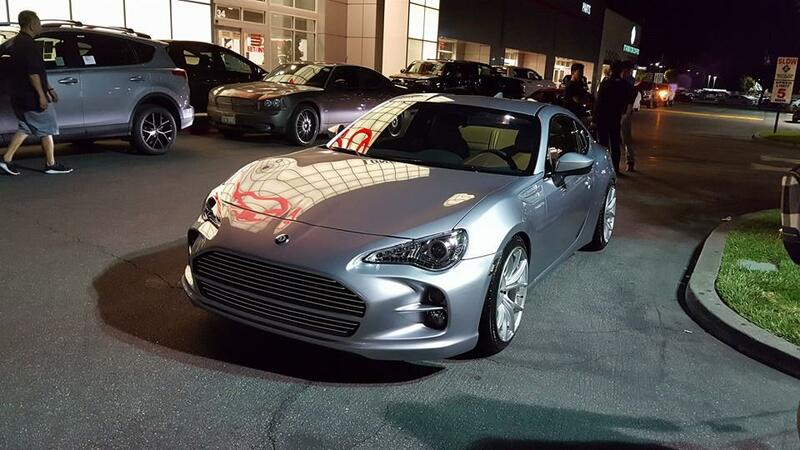 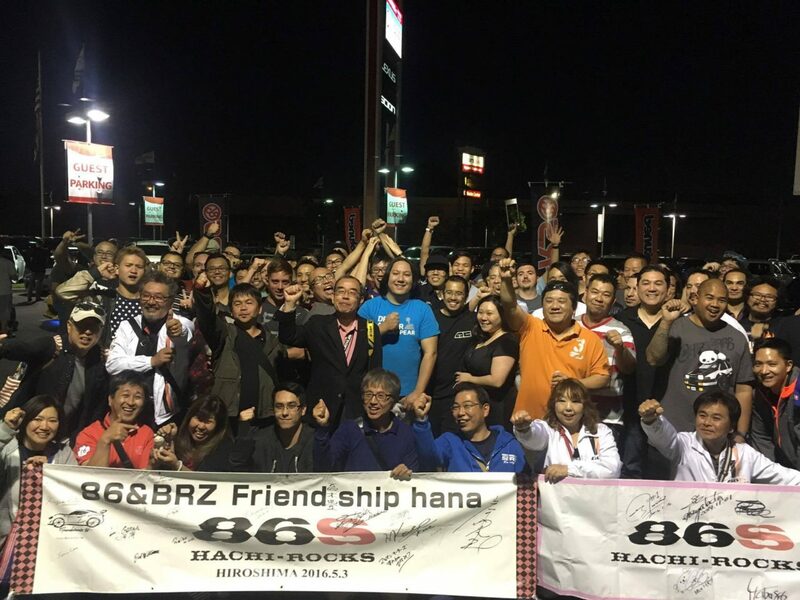 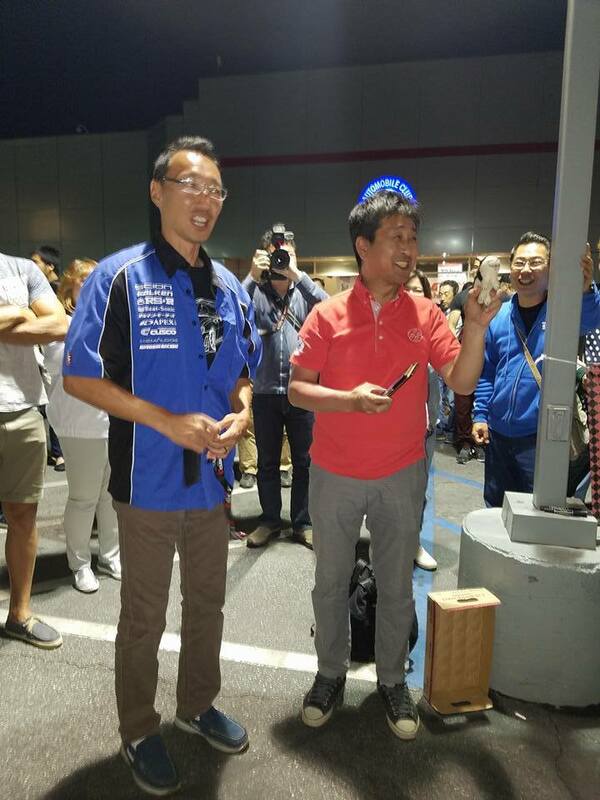 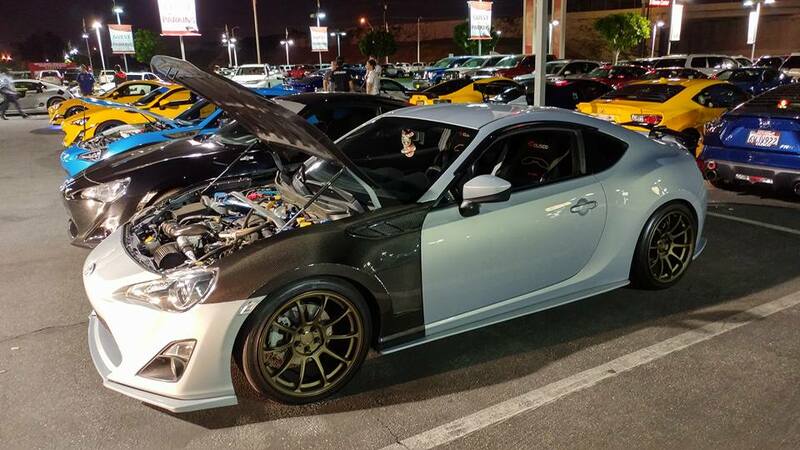 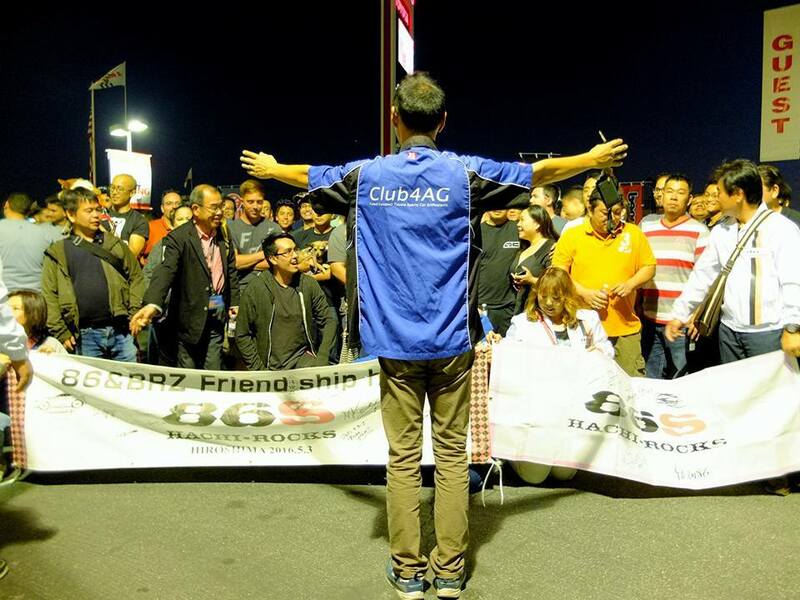 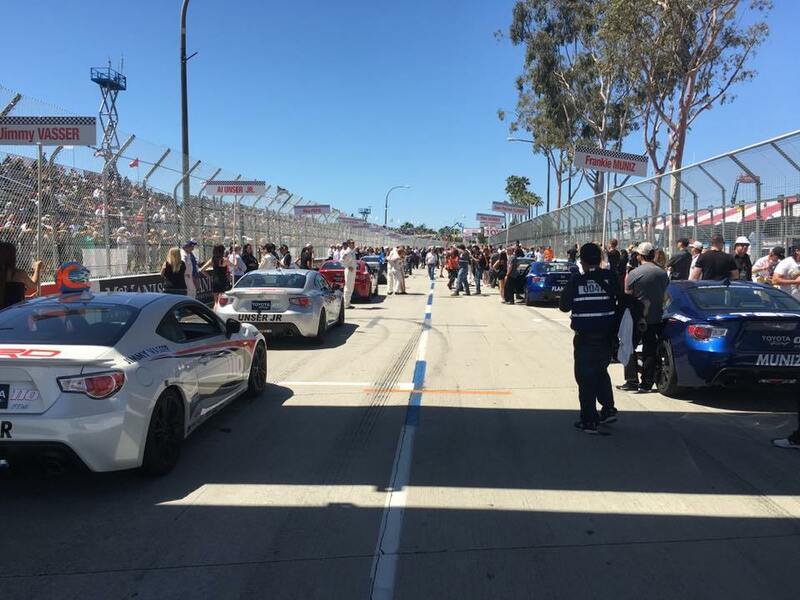 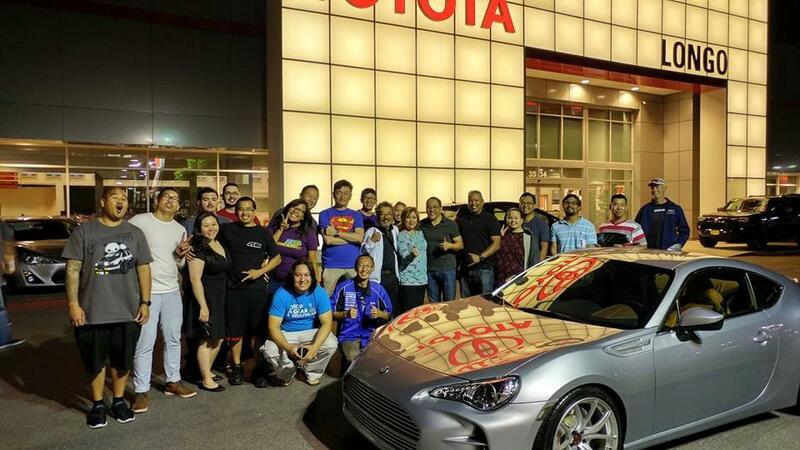 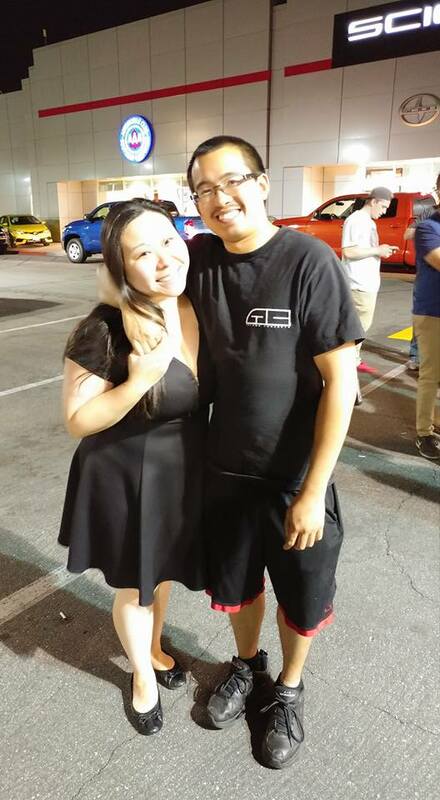 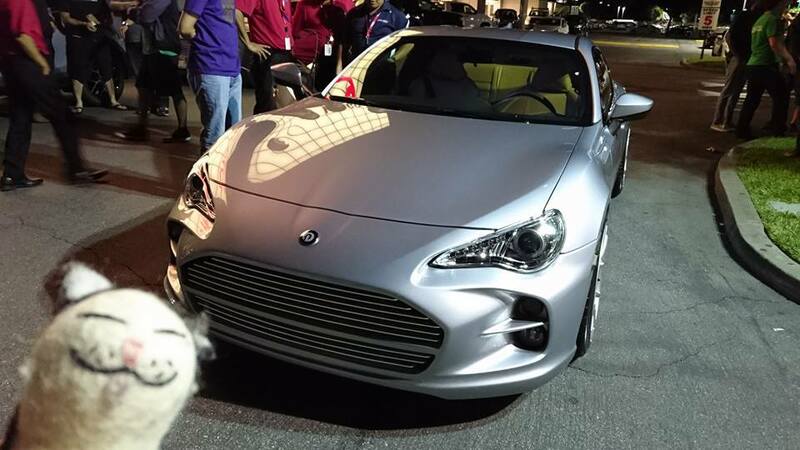 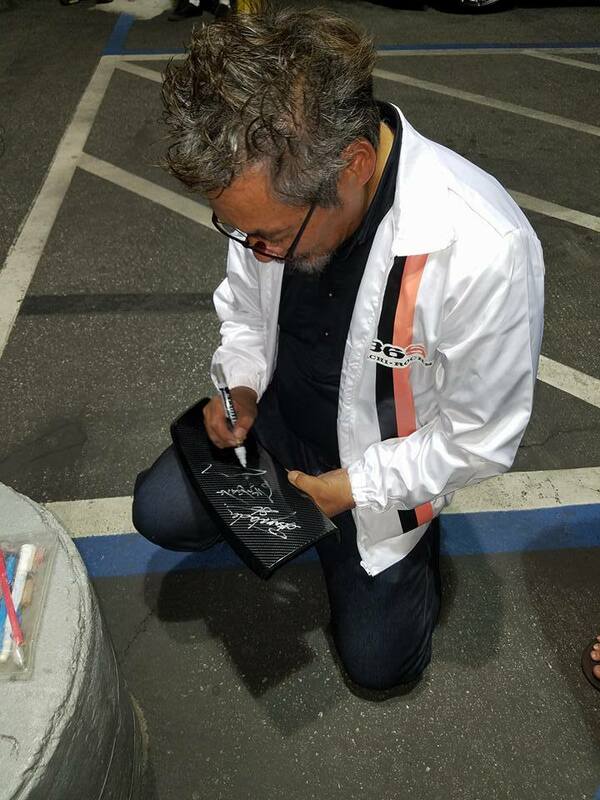 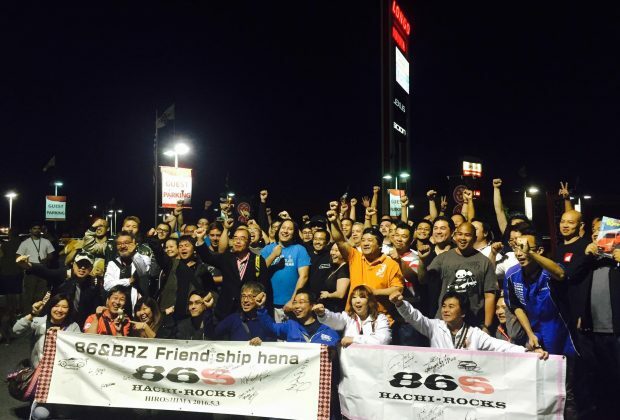 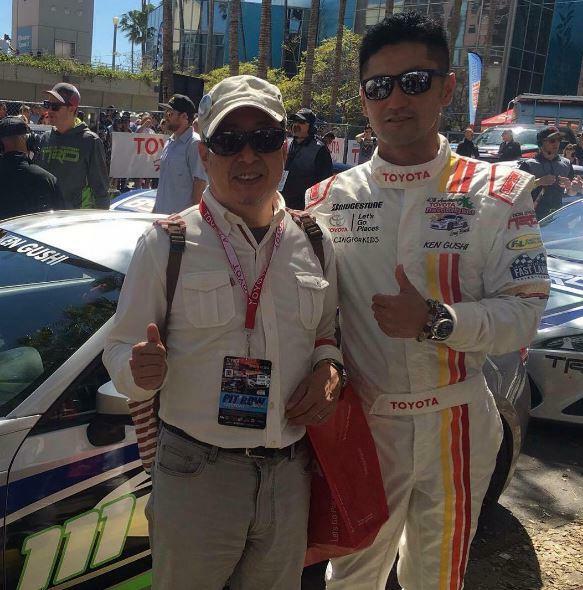 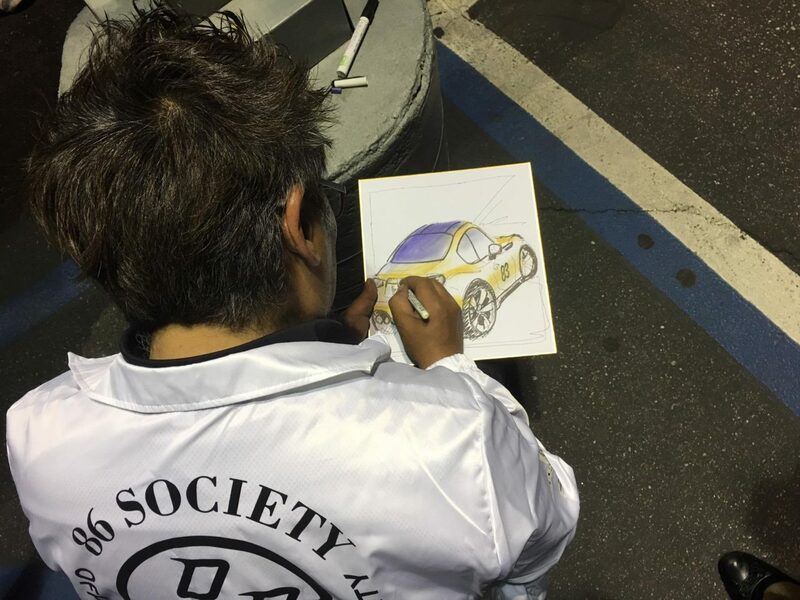 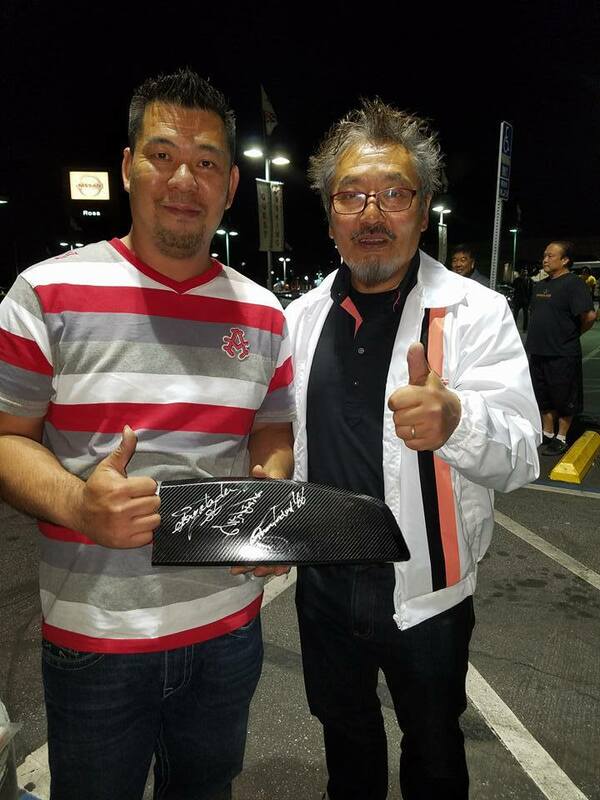 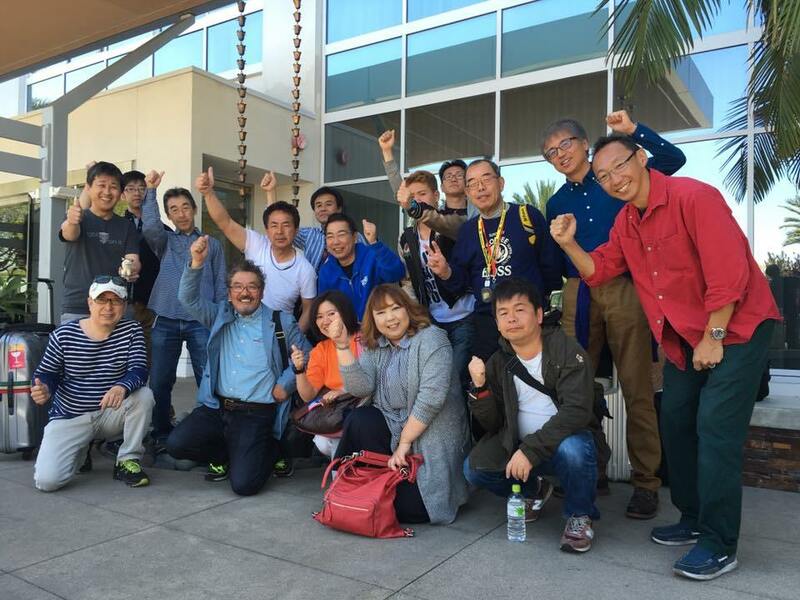 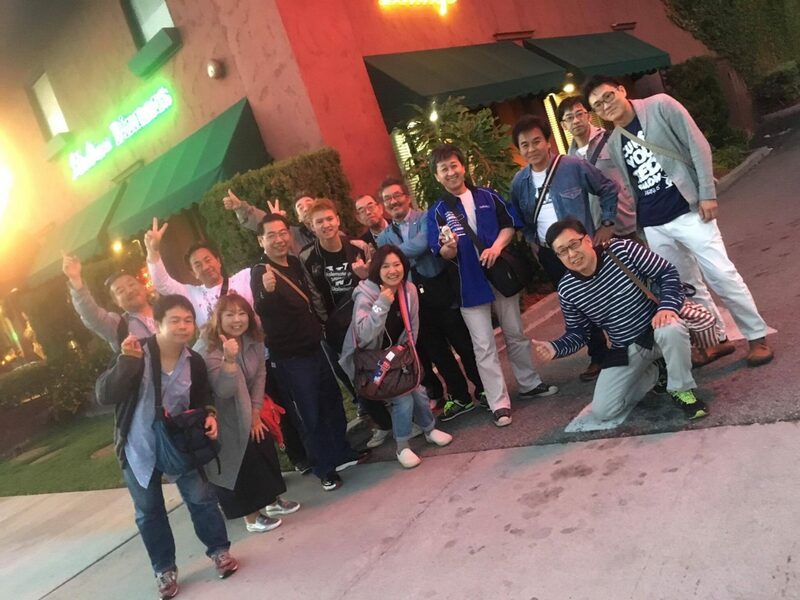 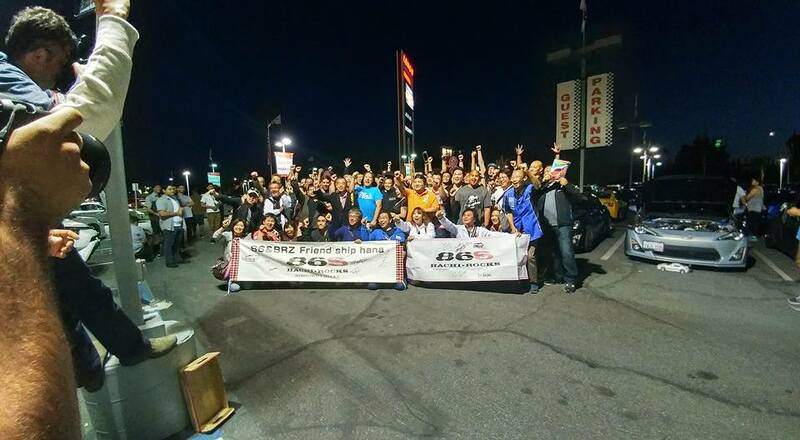 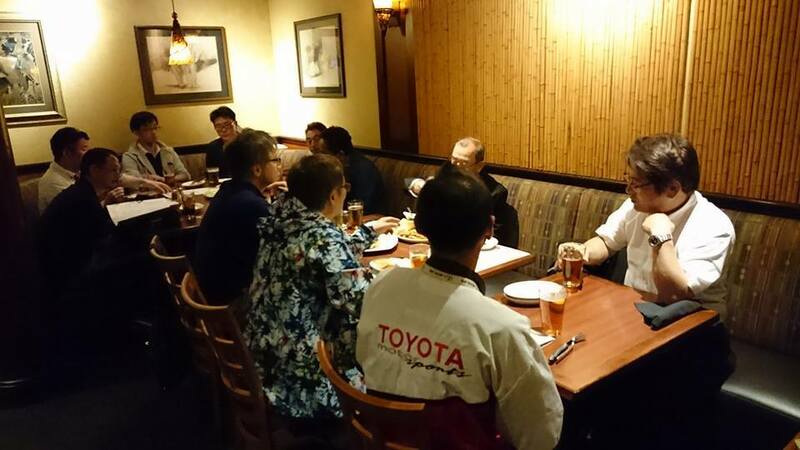 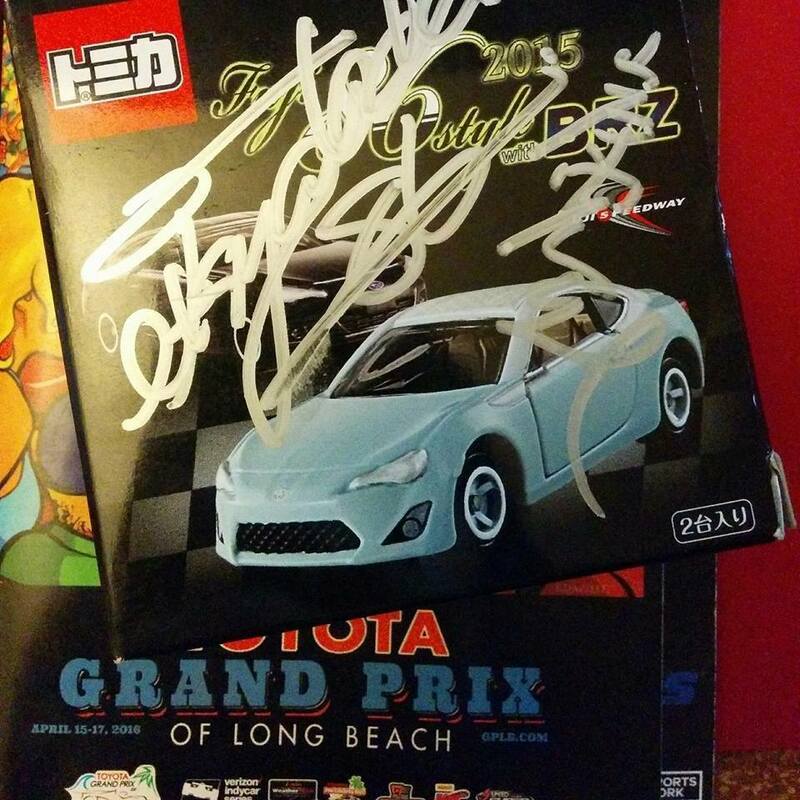 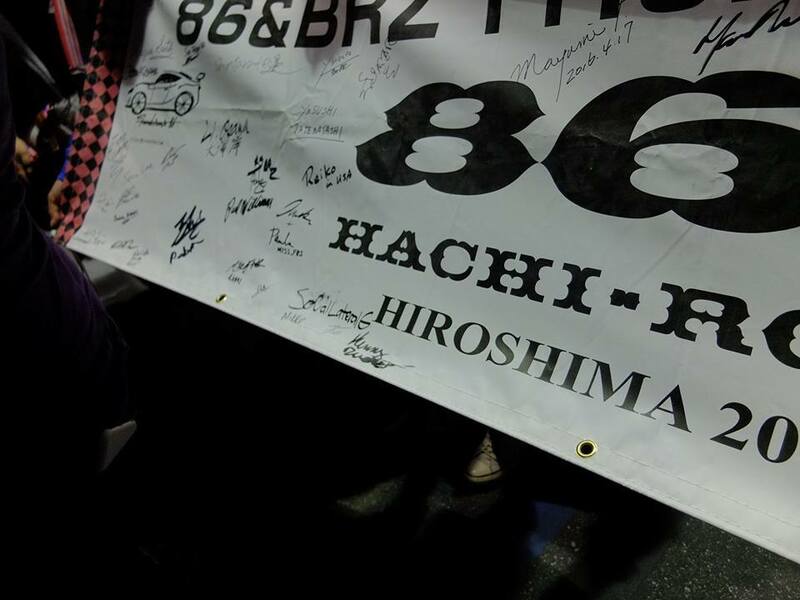 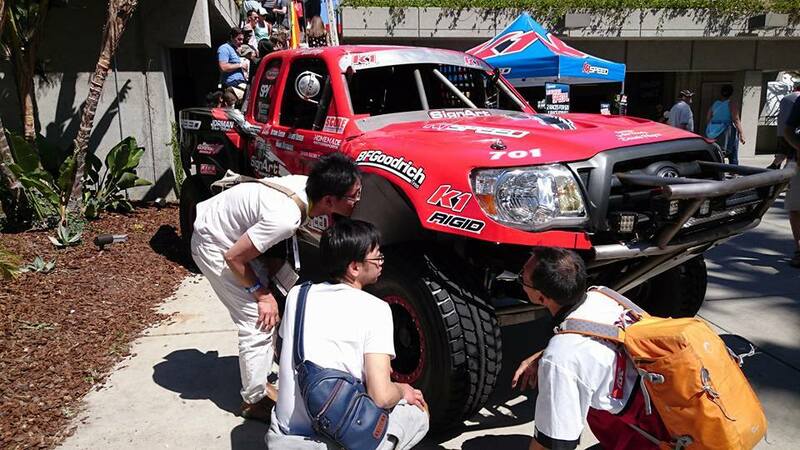 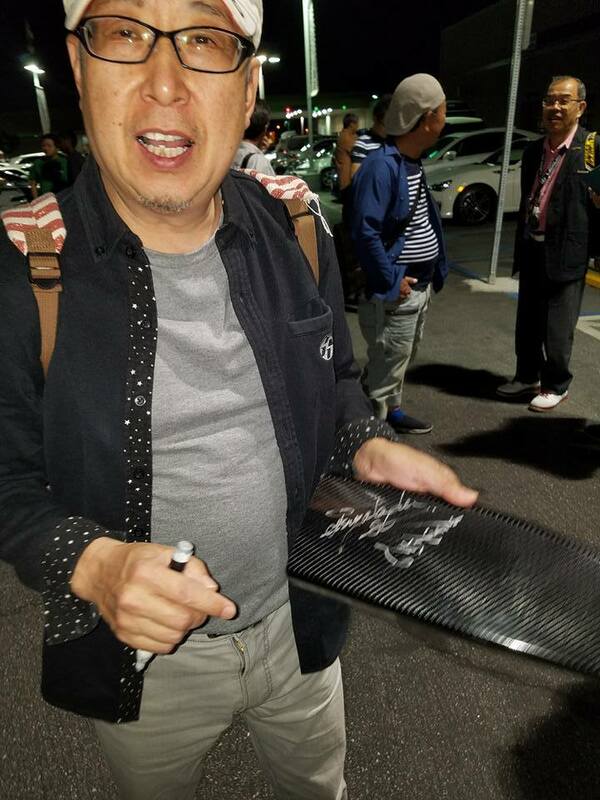 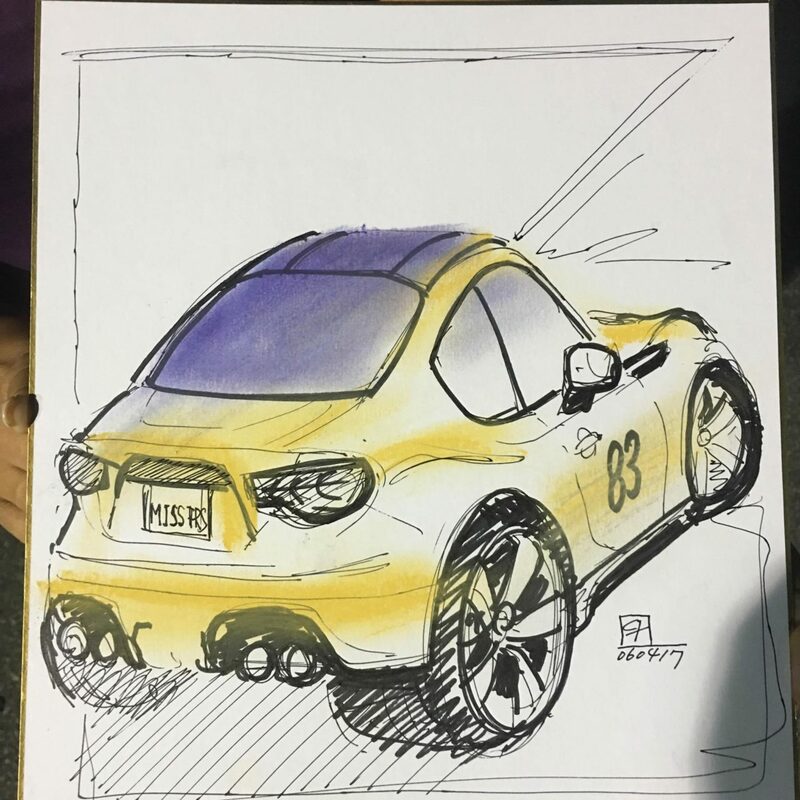 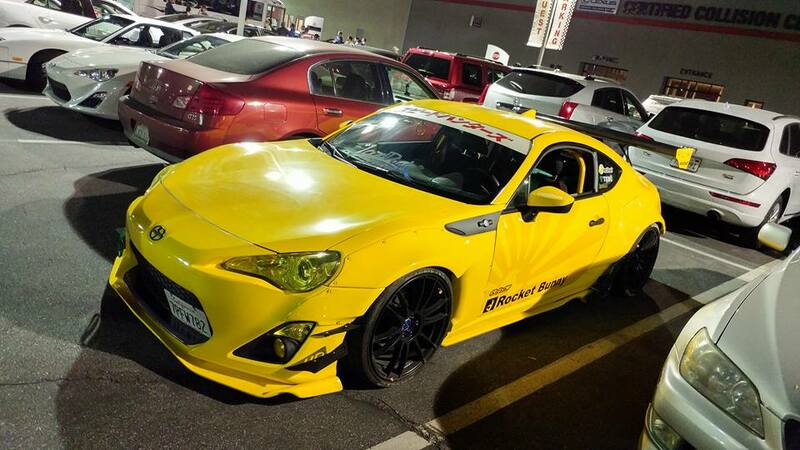 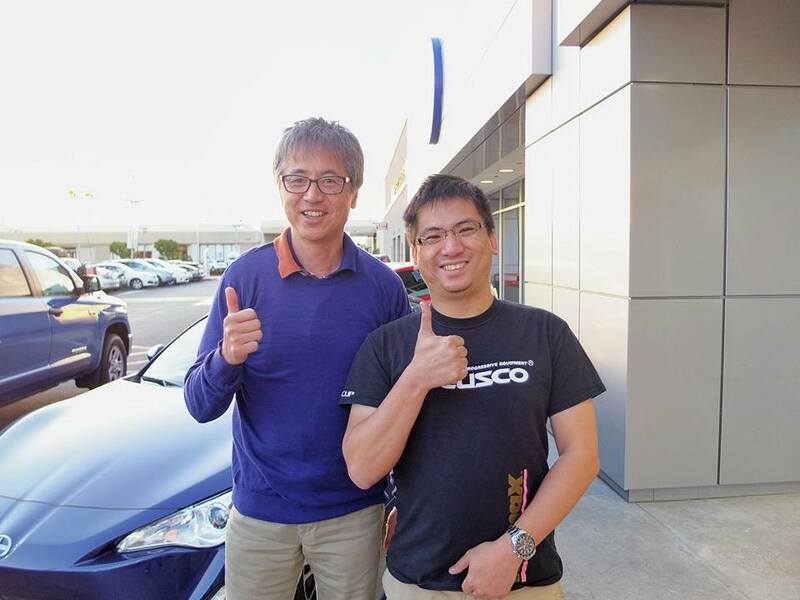 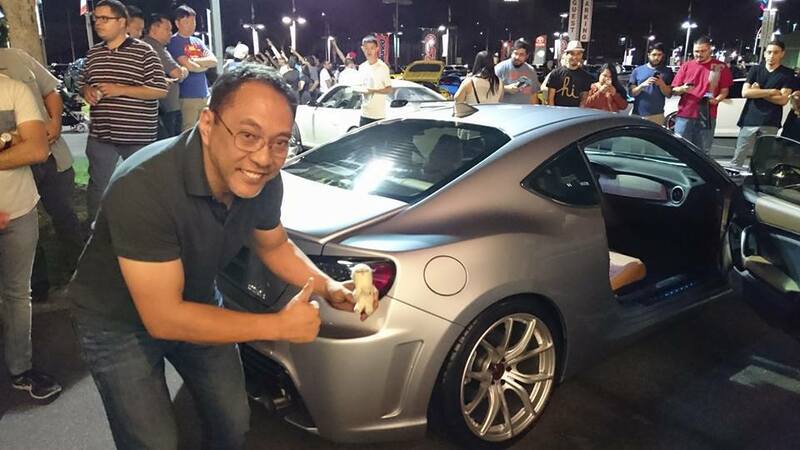 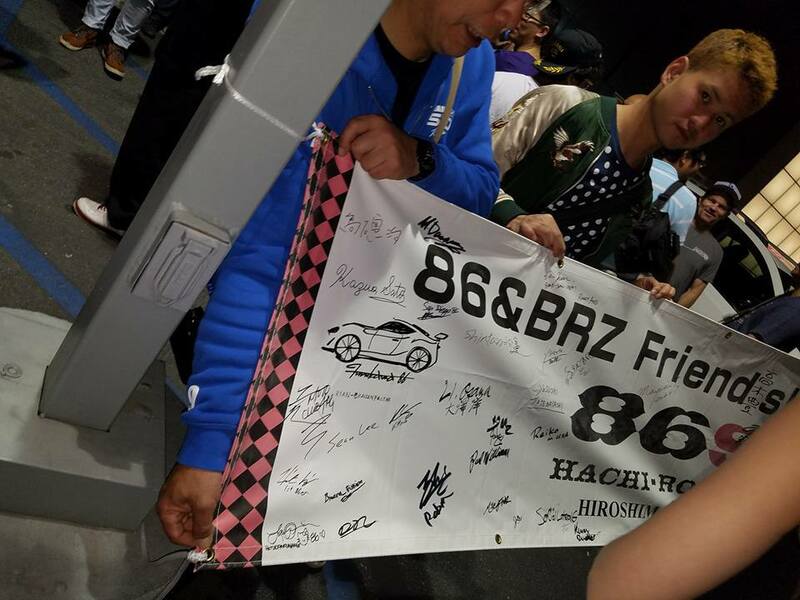 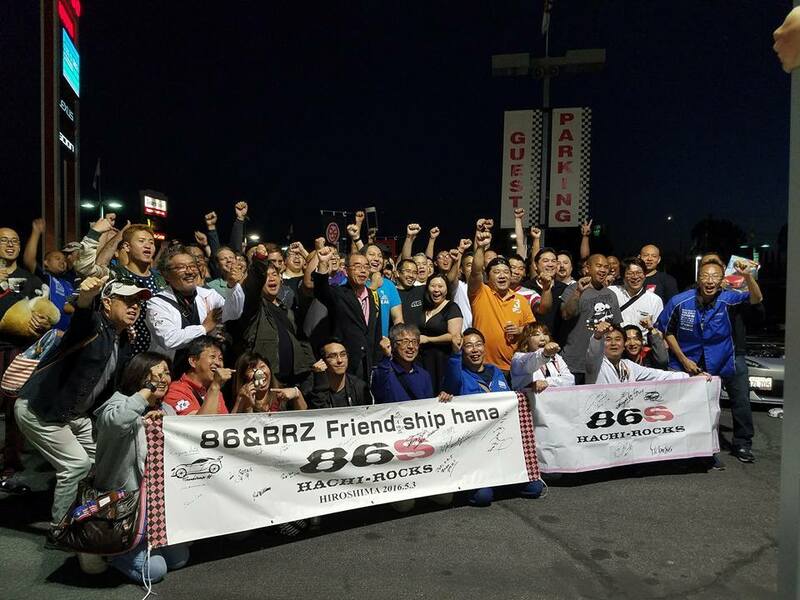 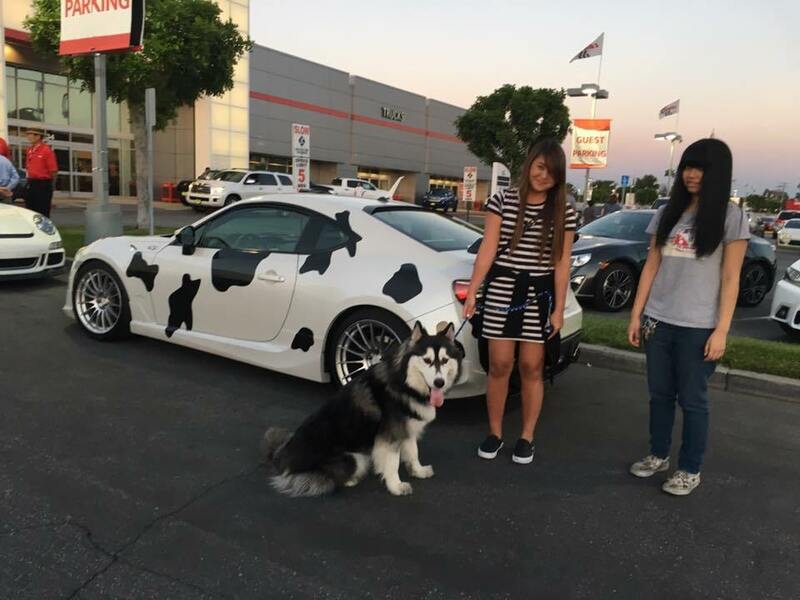 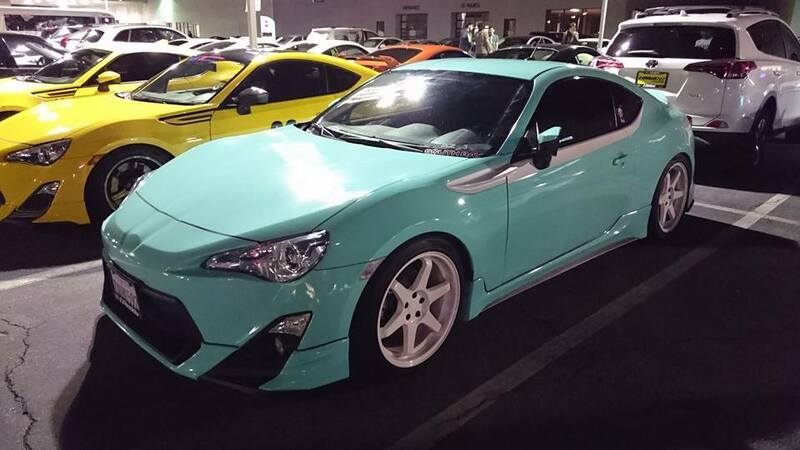 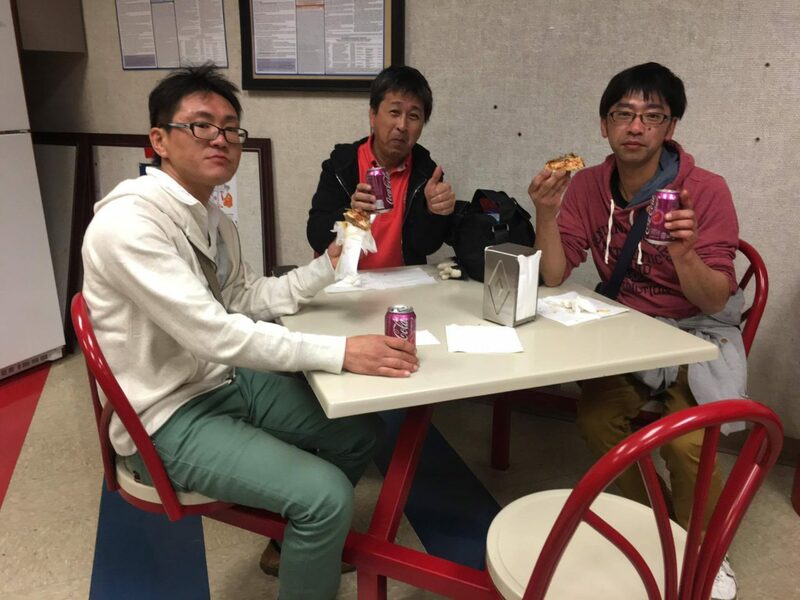 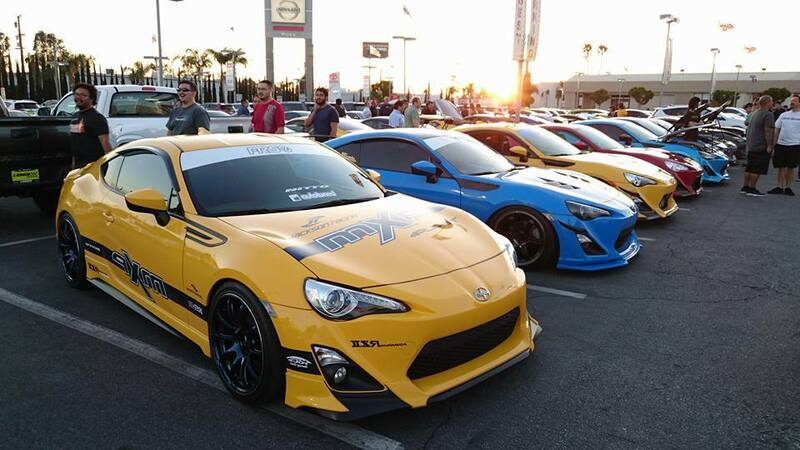 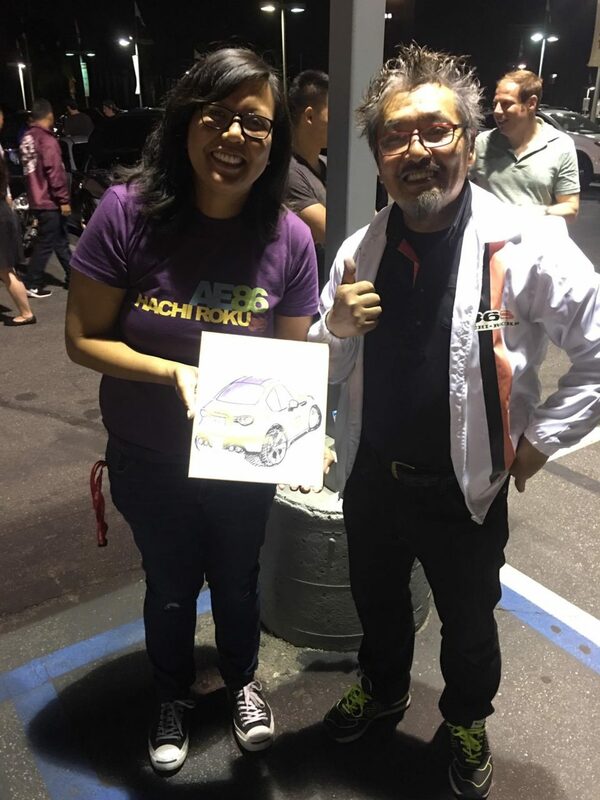 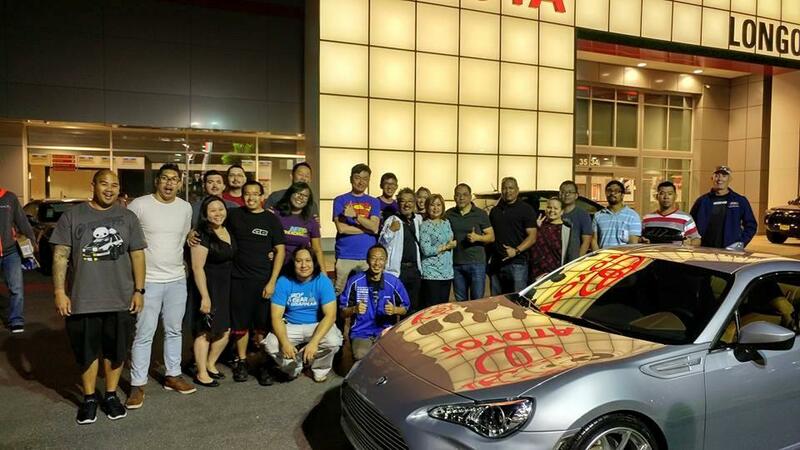 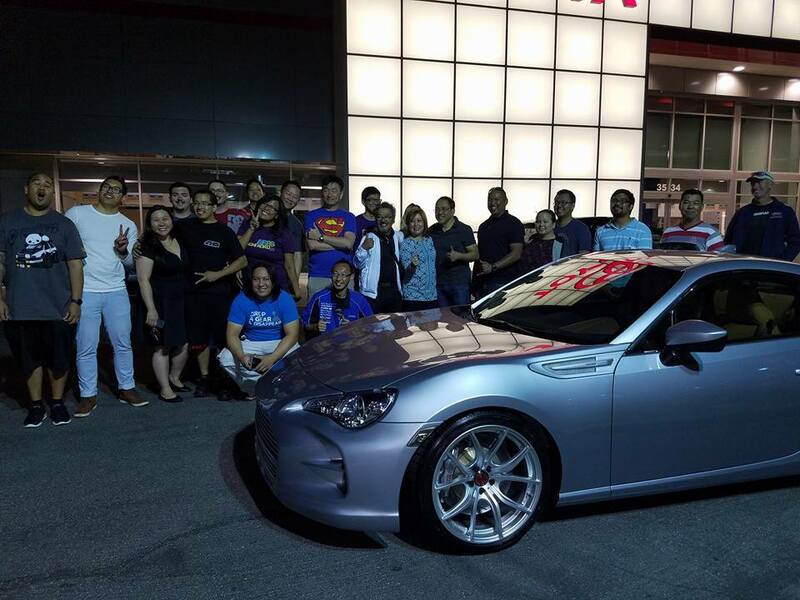 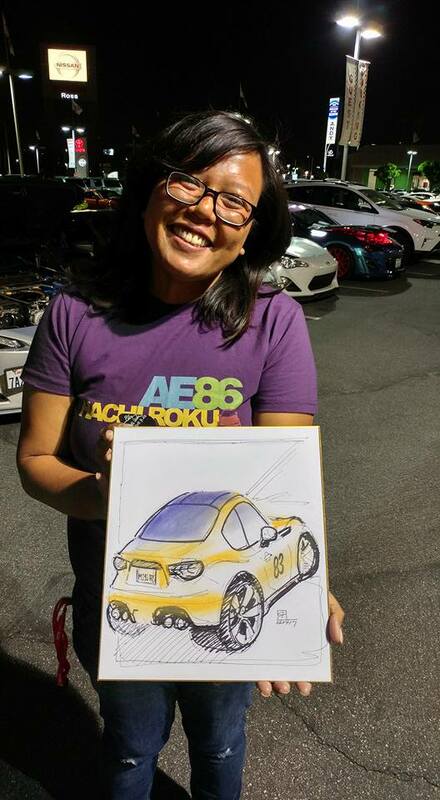 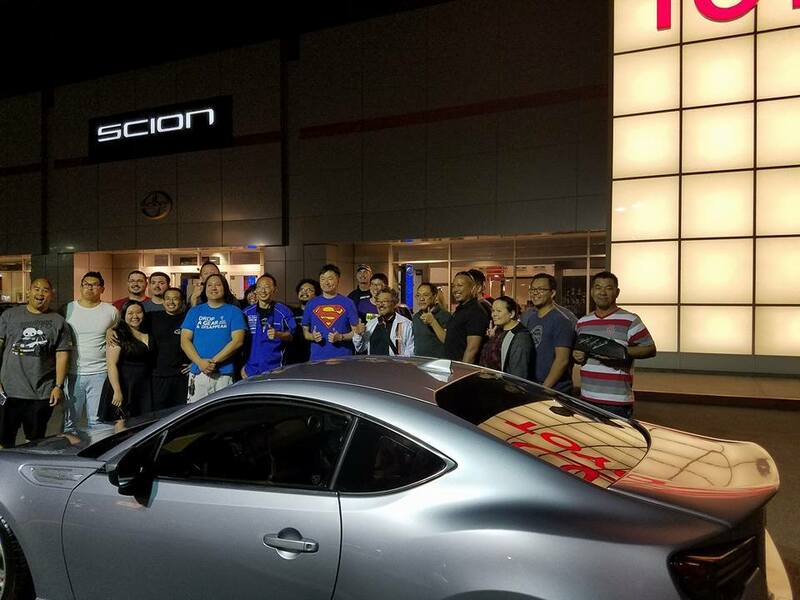 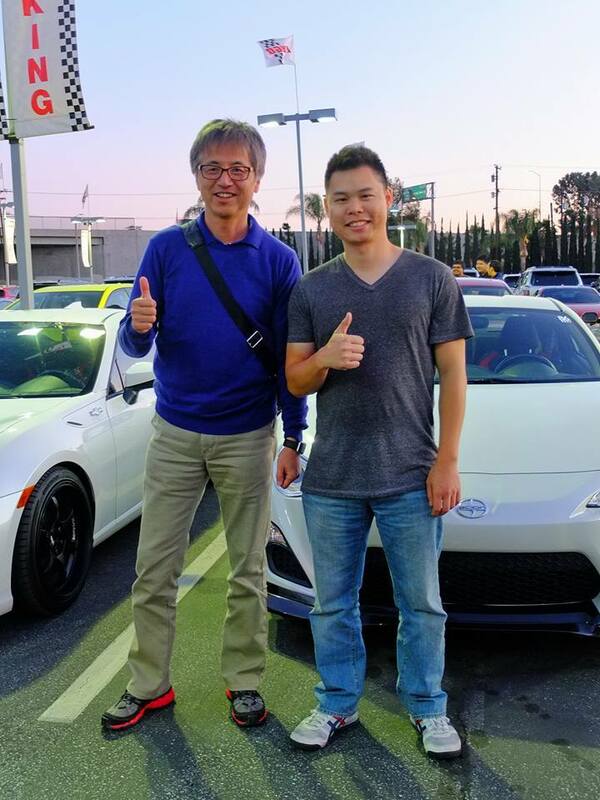 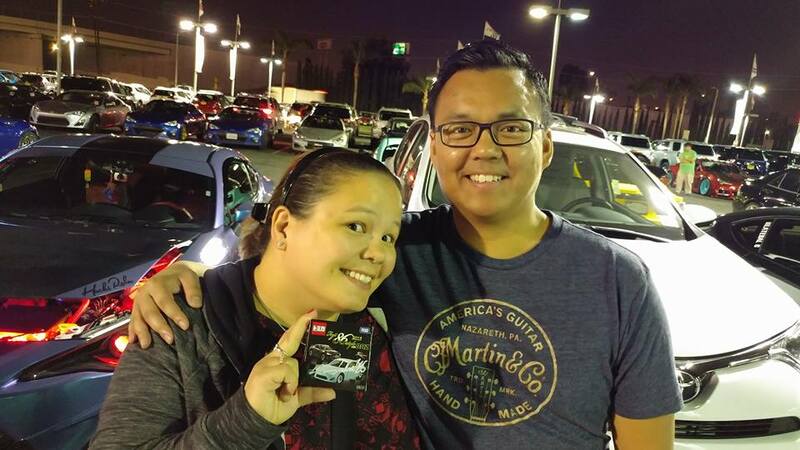 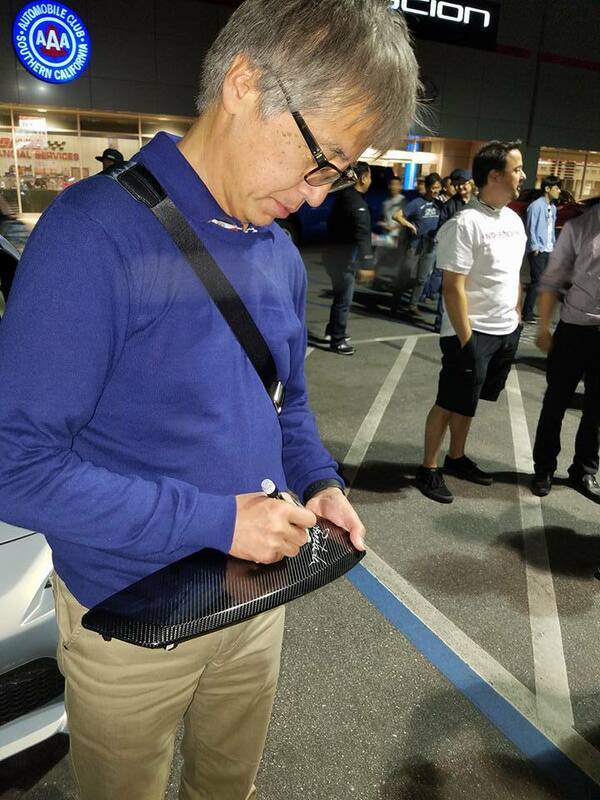 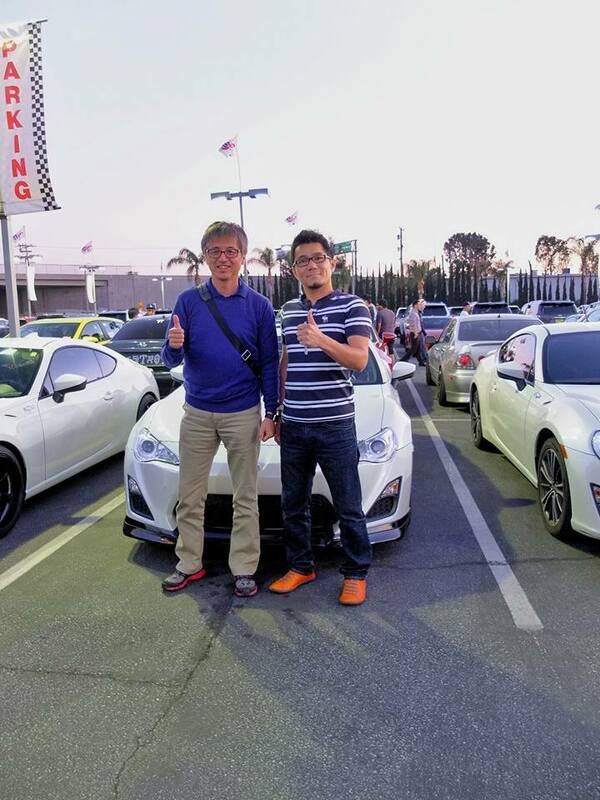 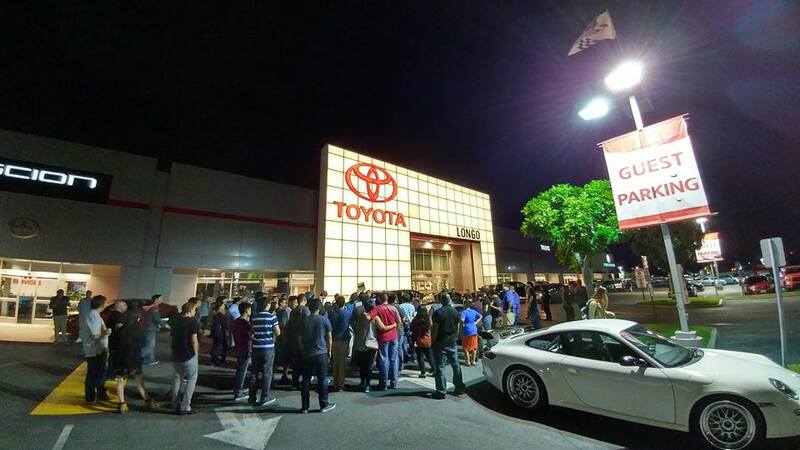 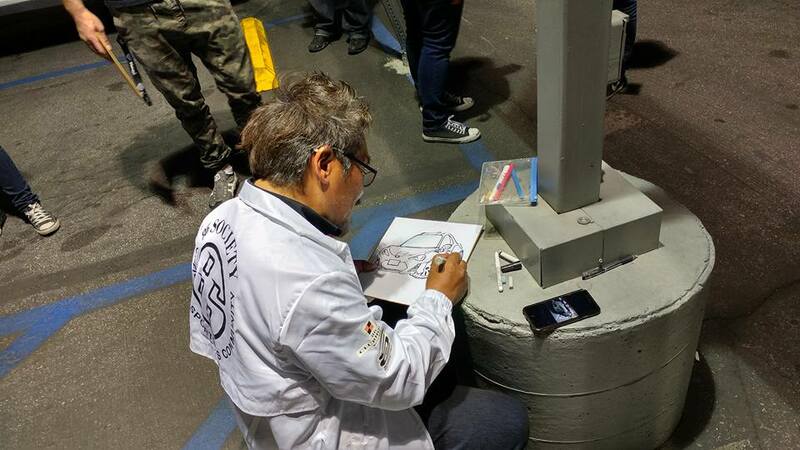 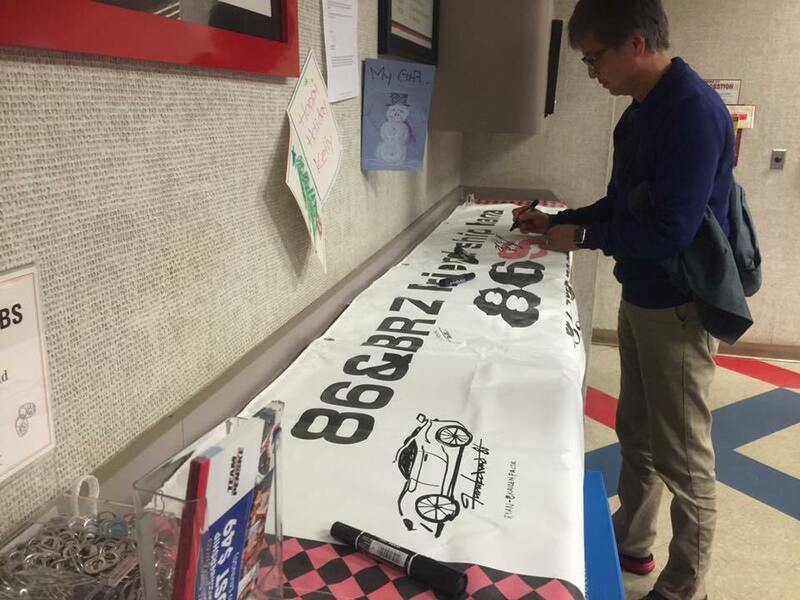 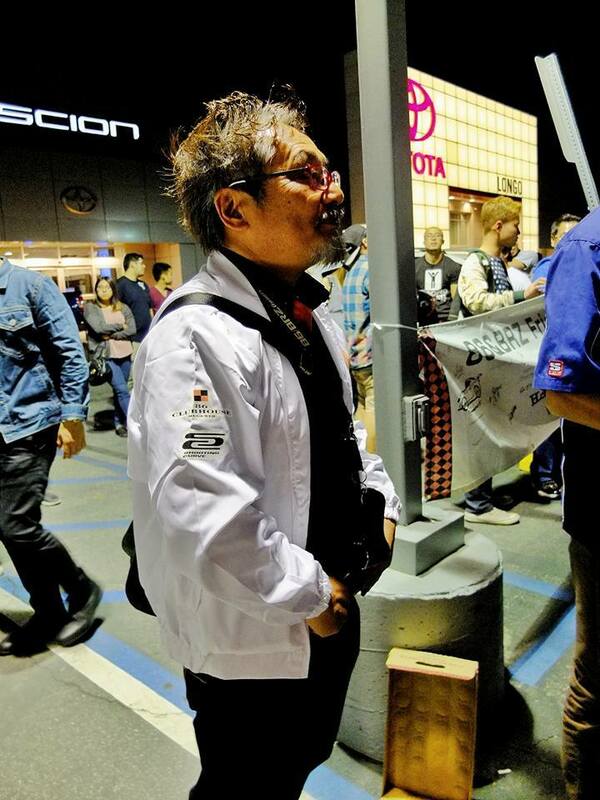 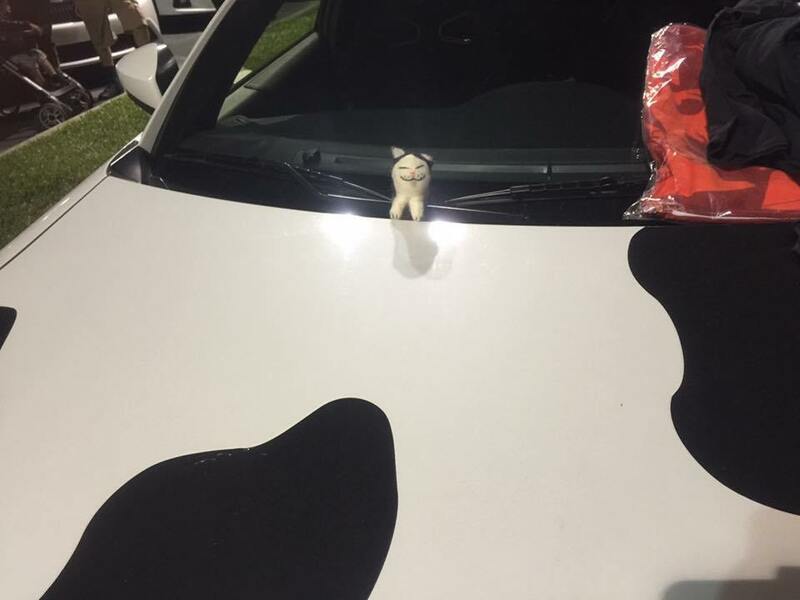 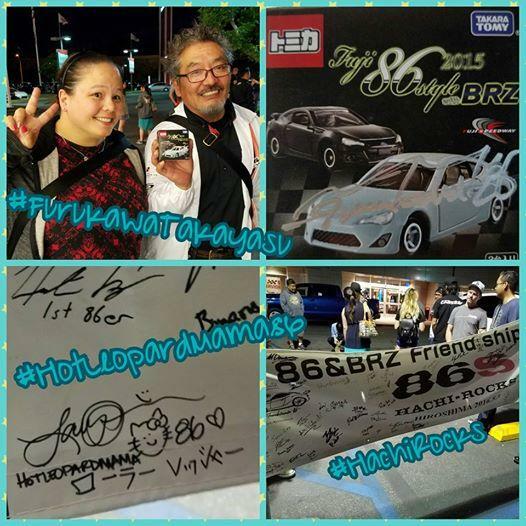 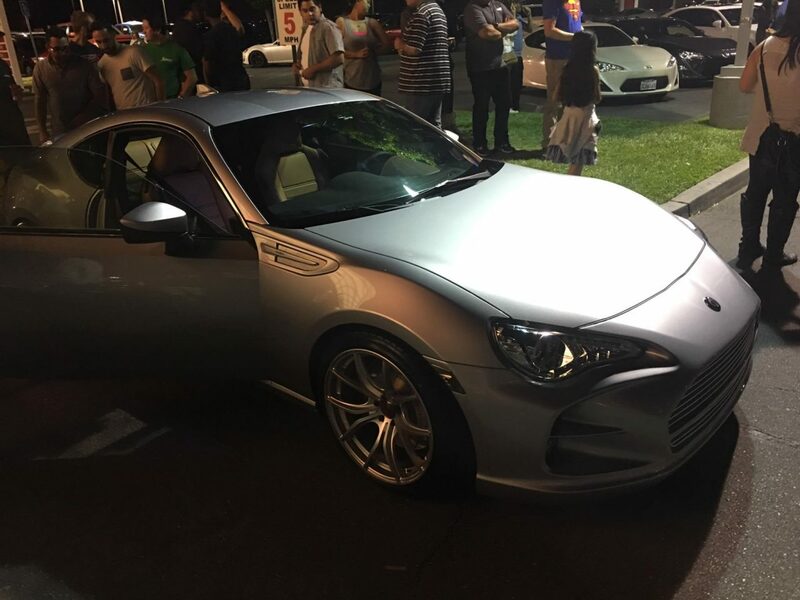 86'S (pronounced Hachi-Rocks) in Japanese, are the largest of Japan's Toyota 86 owners club, and some of the key folks came to share the moment at this race, and greet the USA fan-base as well as get a taste of Southern California. 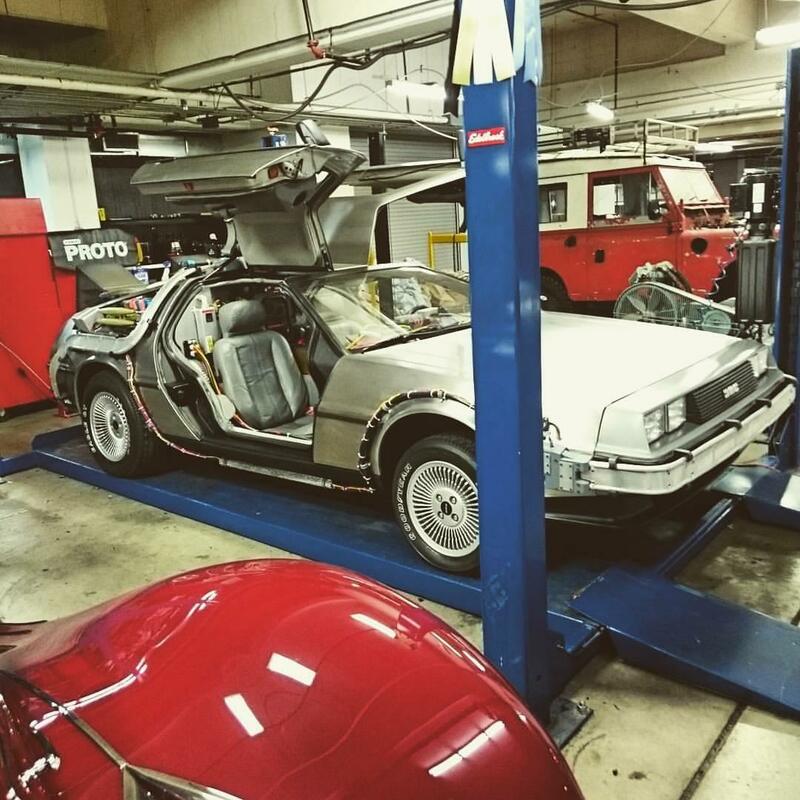 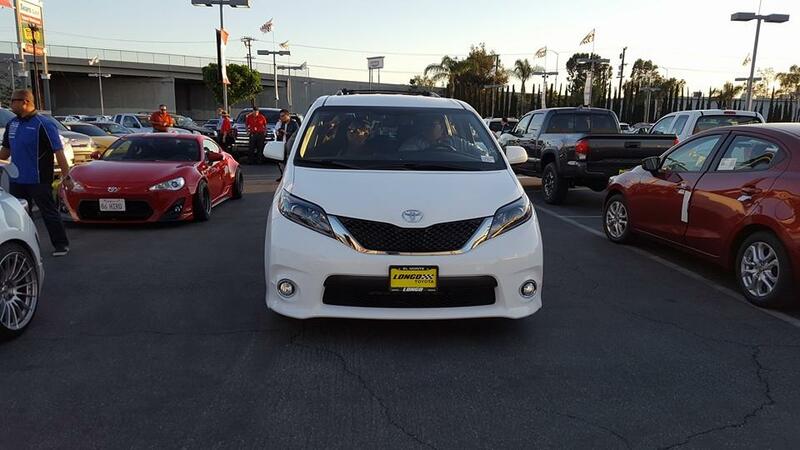 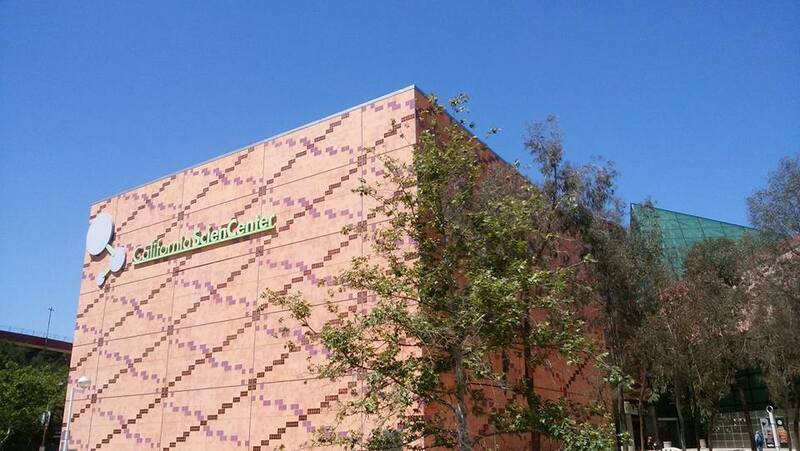 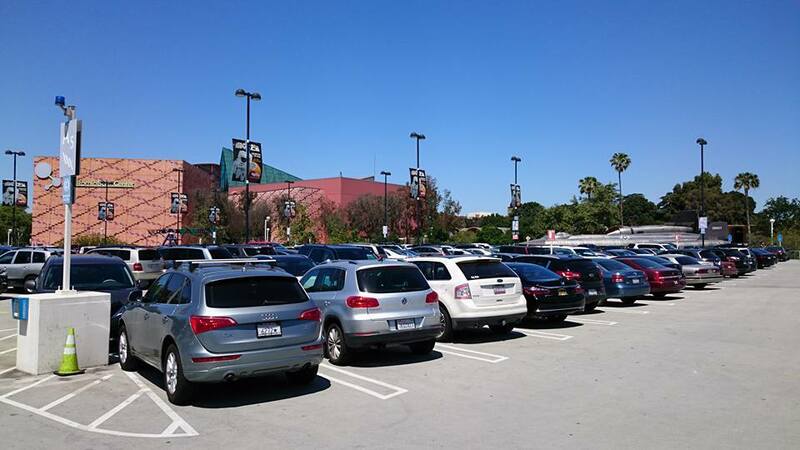 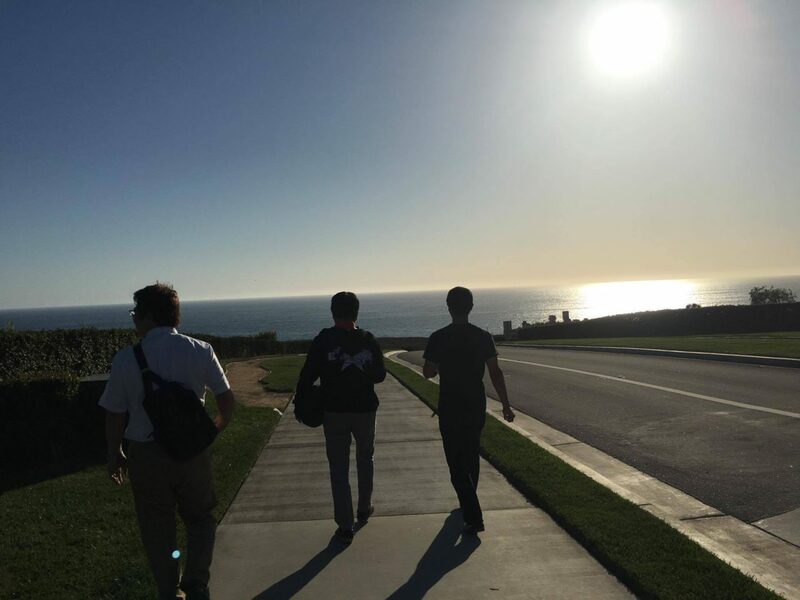 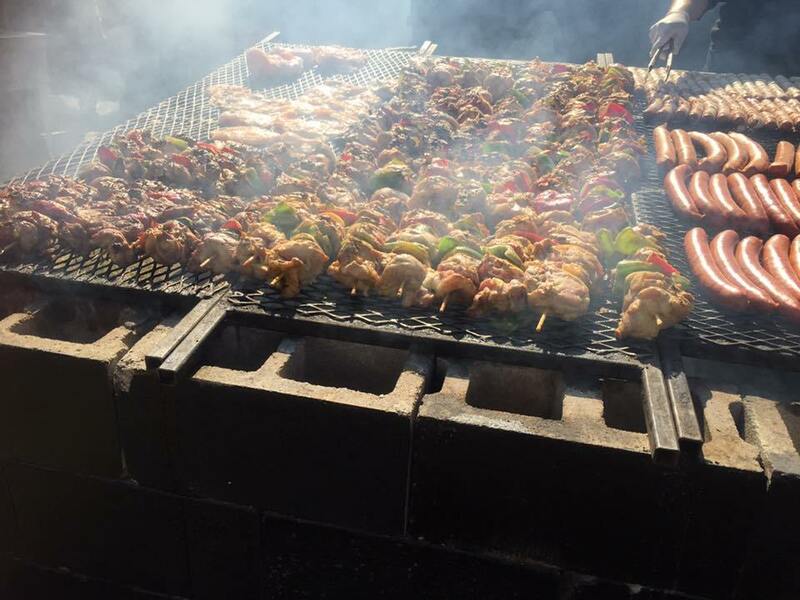 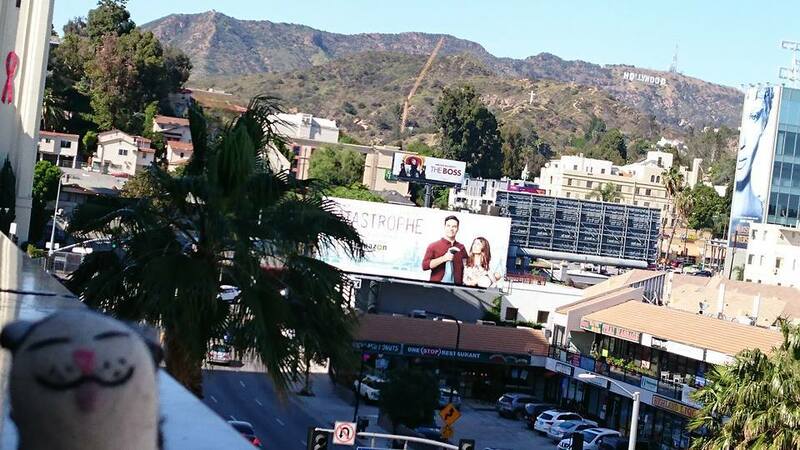 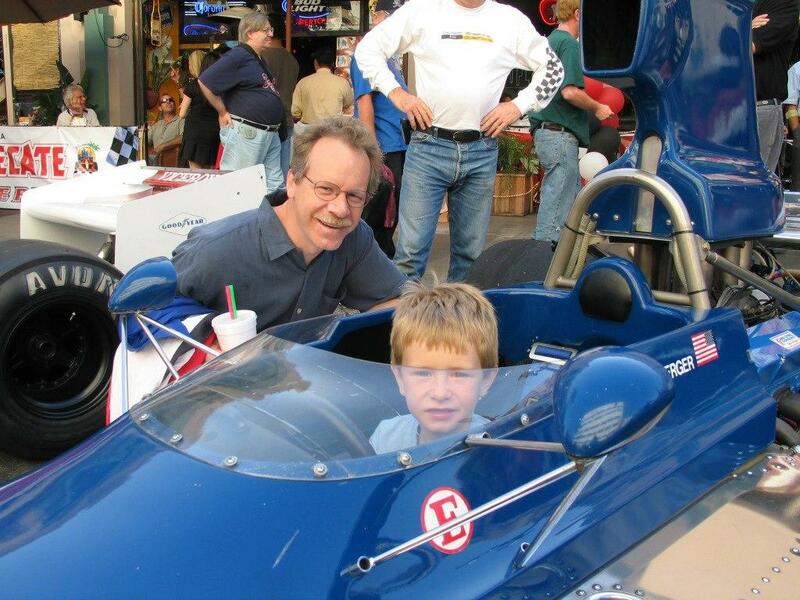 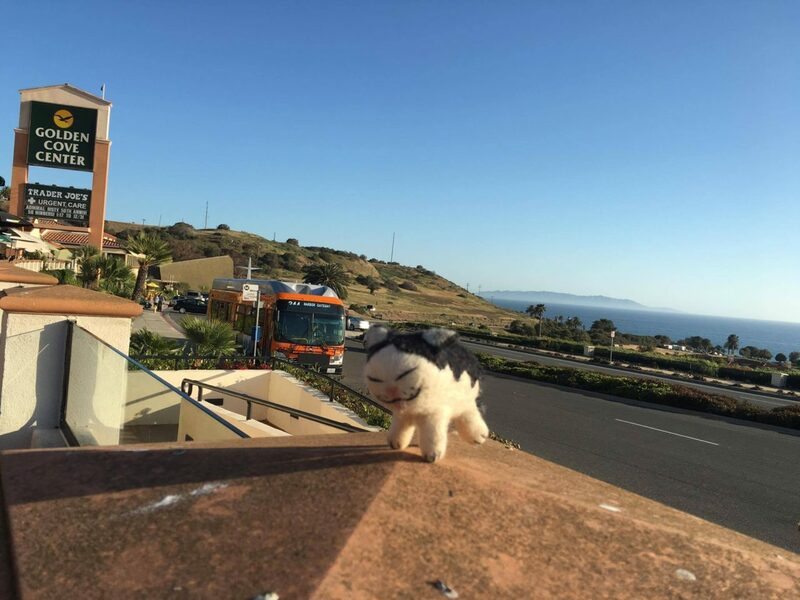 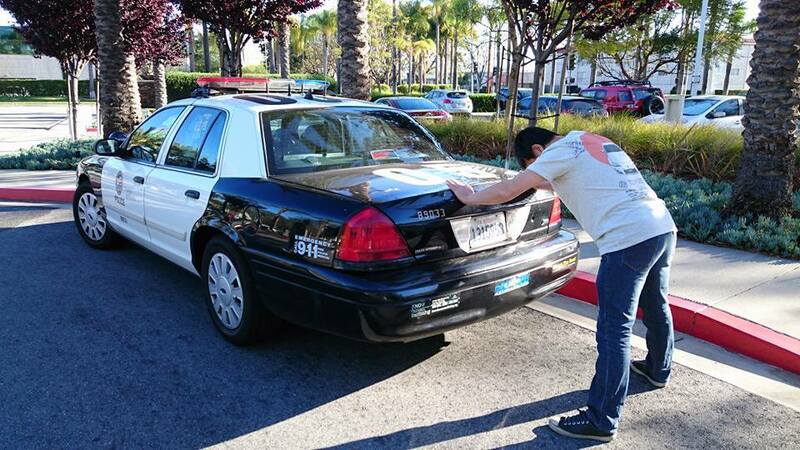 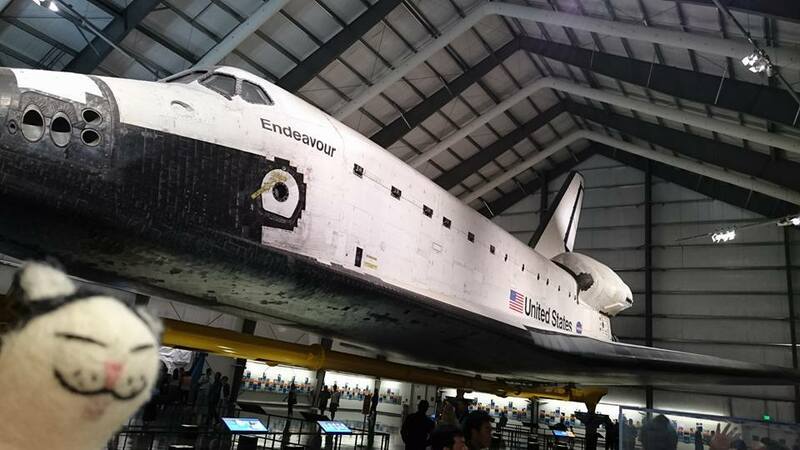 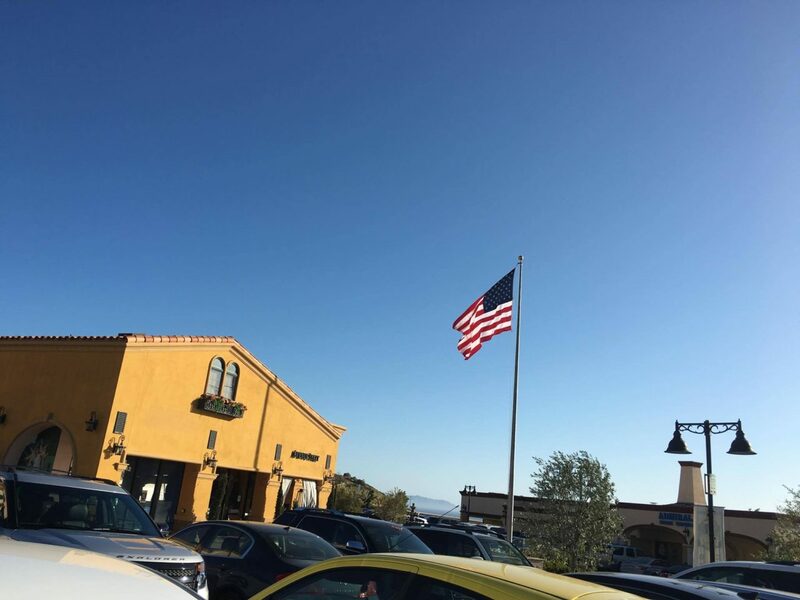 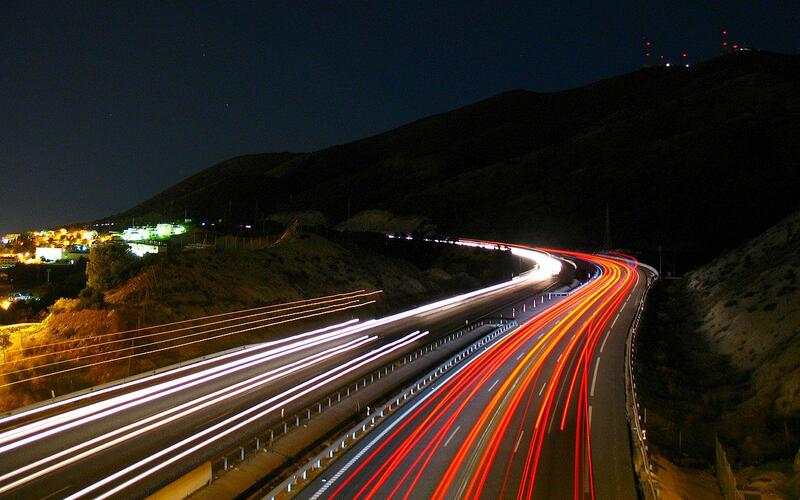 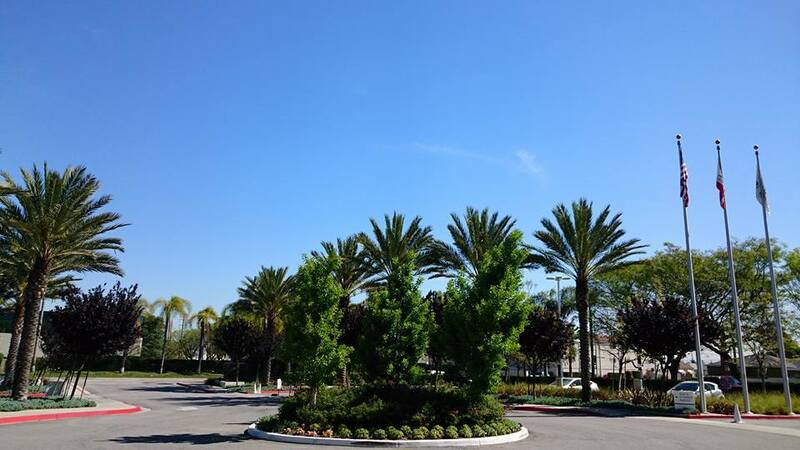 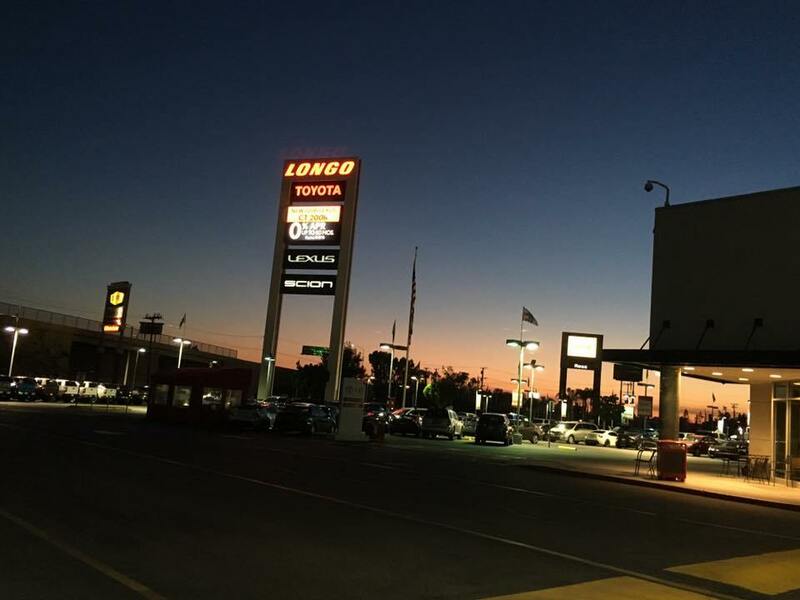 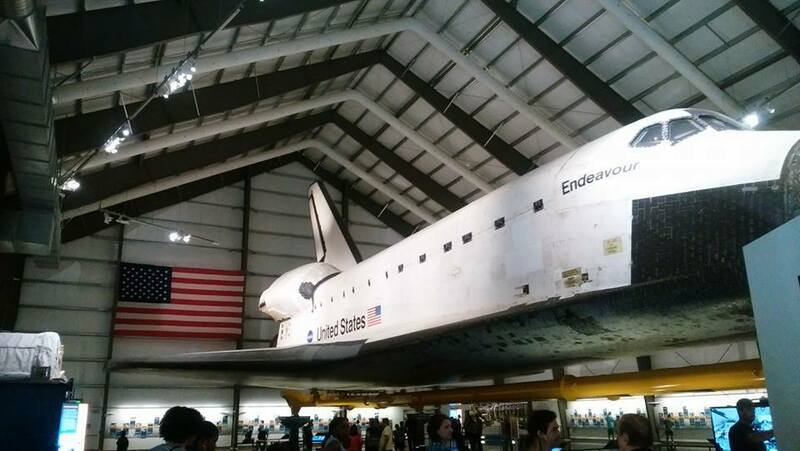 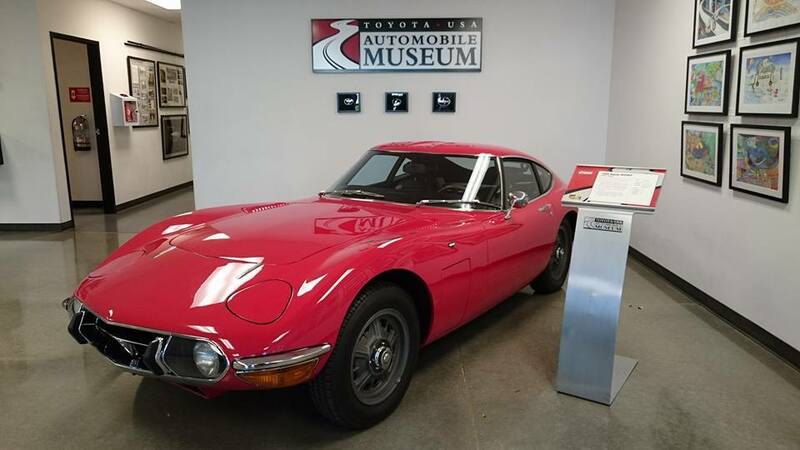 The Tour also included a visit to the California Sciencenter to see the Space Shuttle Endeavour, The Peterson Automobile Museum, City of Los Angeles and Hollywood, A drive through scenic Palos Verdes, and The Toyota Museum USA. 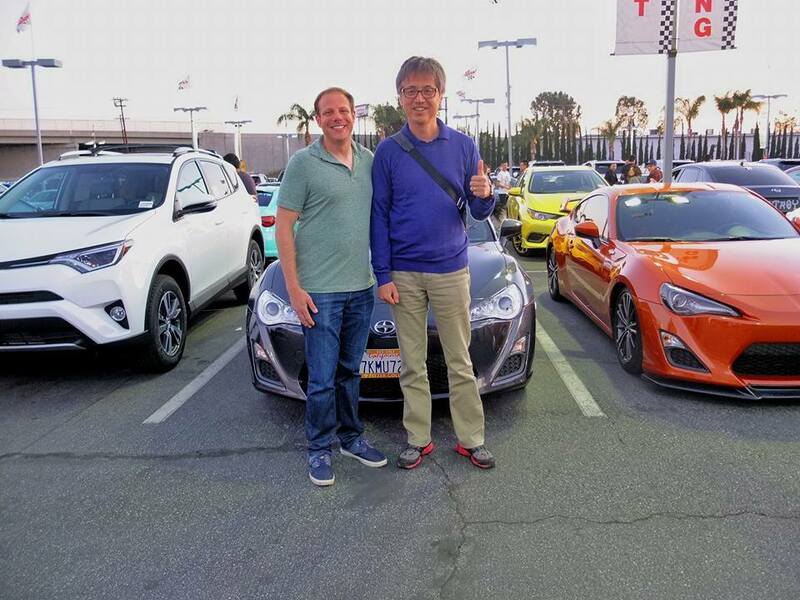 Also in attendance were the creators of the Toyota 86/ Subaru BRZ, Chief Engineer Tetsuya Tada, who we are very familiar with by now, but this time accompanied by Sports Car Planning Division Manager, Hiromitsu Kishi, and the man who is responsible for the beautiful exterior design of the Toyota 86, Chief Designer Takayasu Furukawa. 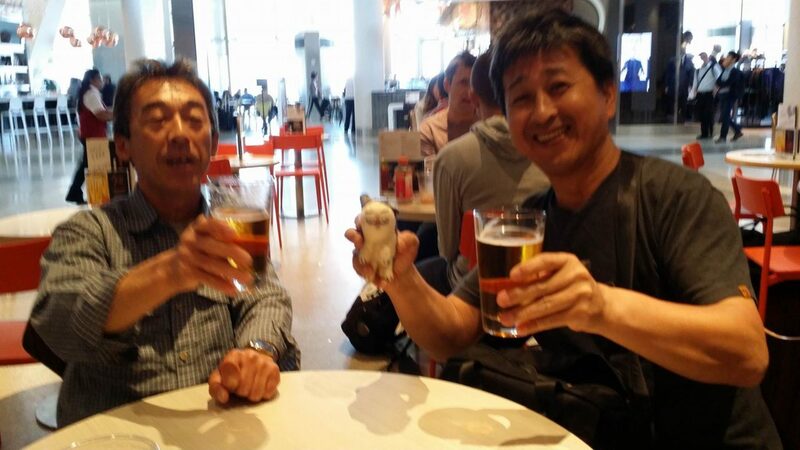 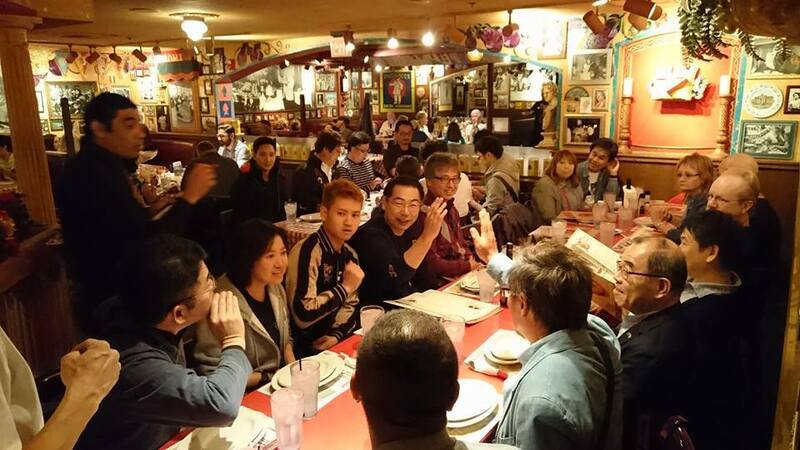 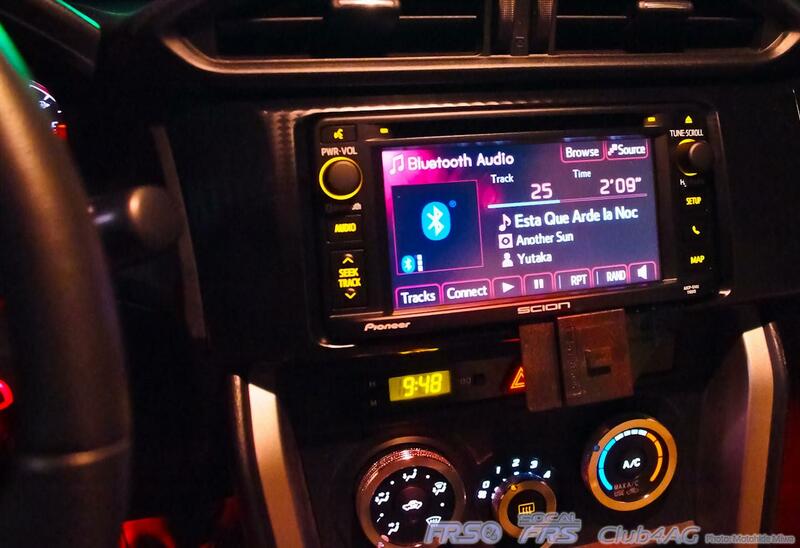 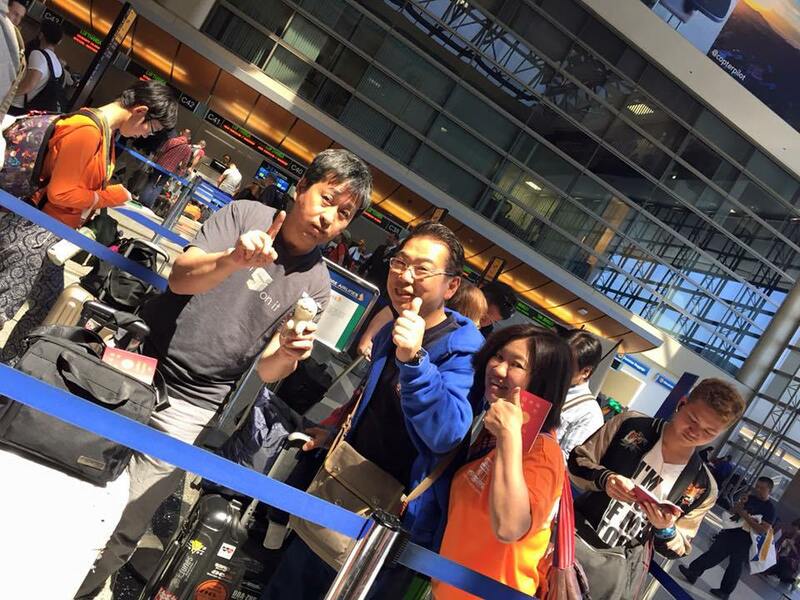 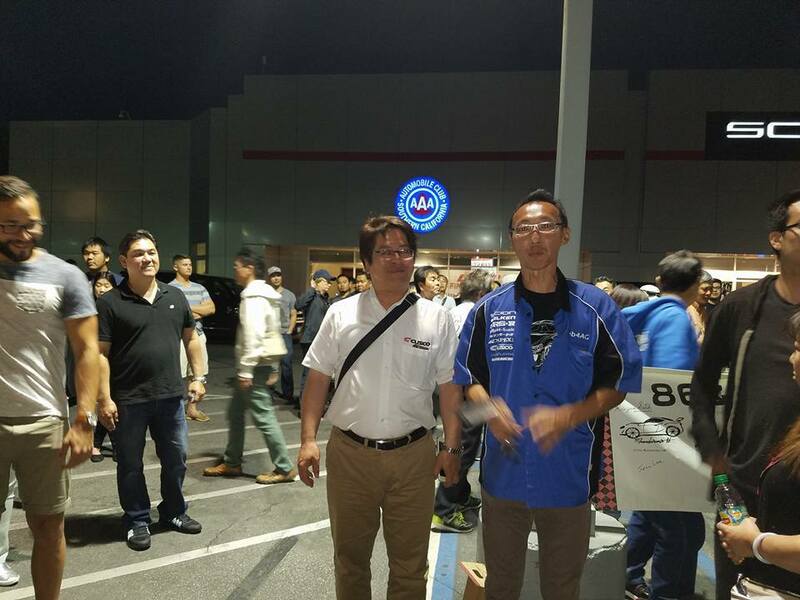 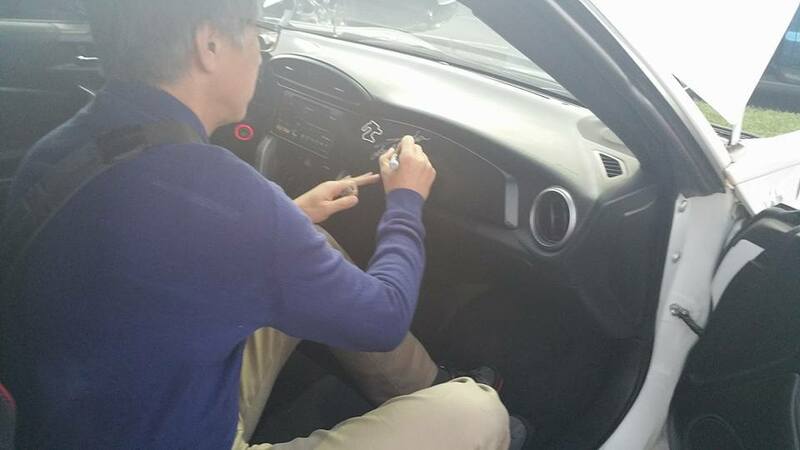 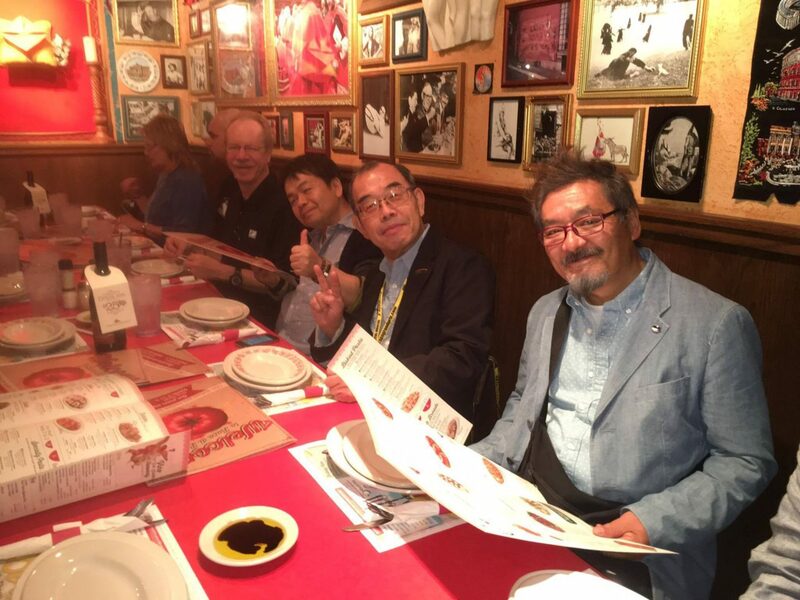 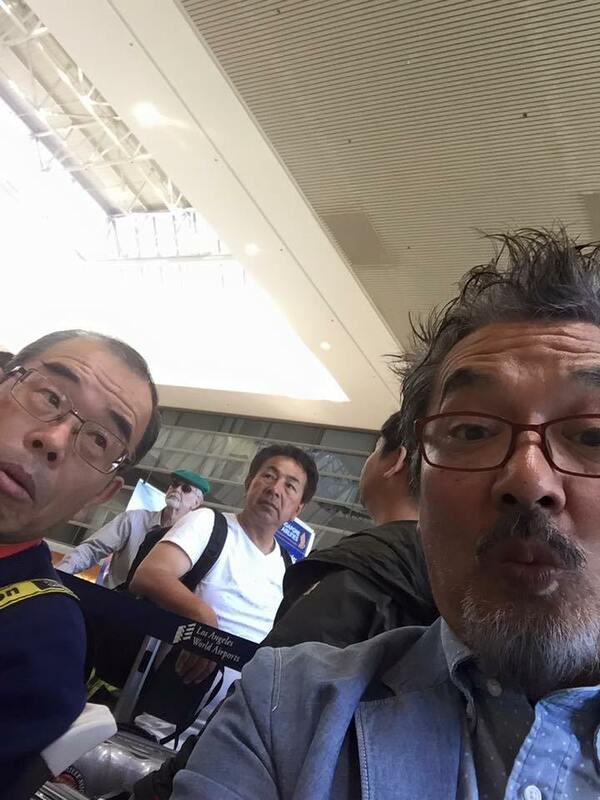 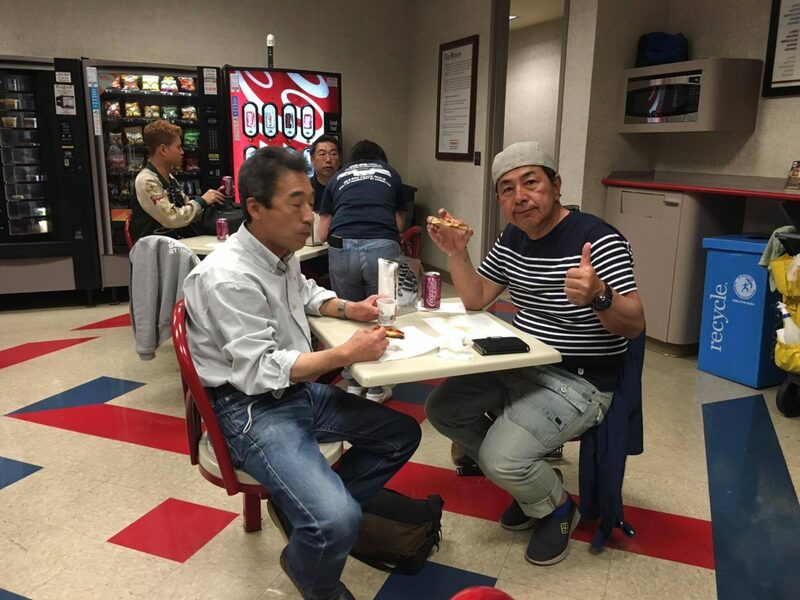 Cusco International (Carrosser) also came along, with Cusco USA Director, Kenji Inoue as well as the Cusco International CEO, Tsutomu Nagase. 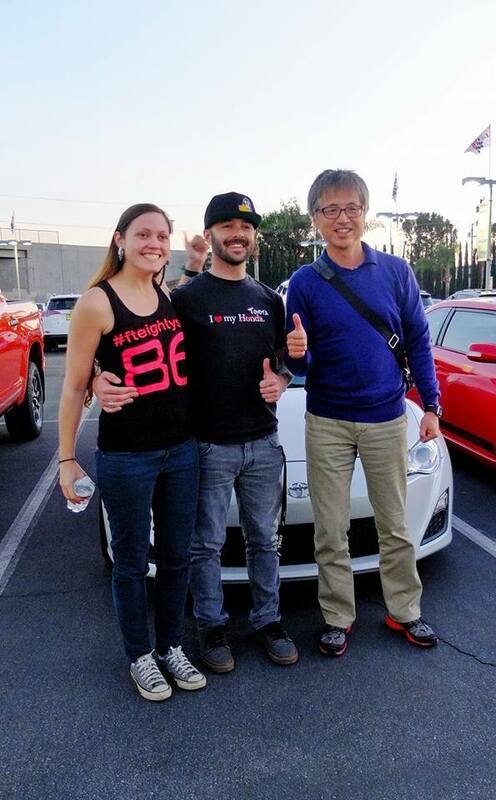 Coming to greet them from the USA side, top sales person of the Scion FR-S in the USA, Jeffrey Chang of Longo Toyota/Scion, Auto-Tuned's Young Tea, Robert Stangarone rocking his RSR FRS, Ryan Nambu's 70's Classic Edition FRS, and countless others who all came to shake the hands that bond the globe as fans of the Toyota 86 and Subaru BRZ. 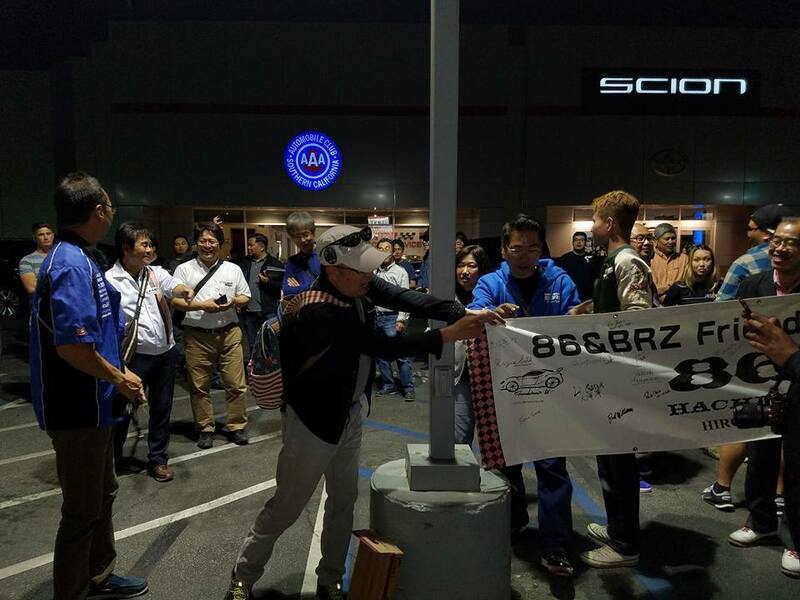 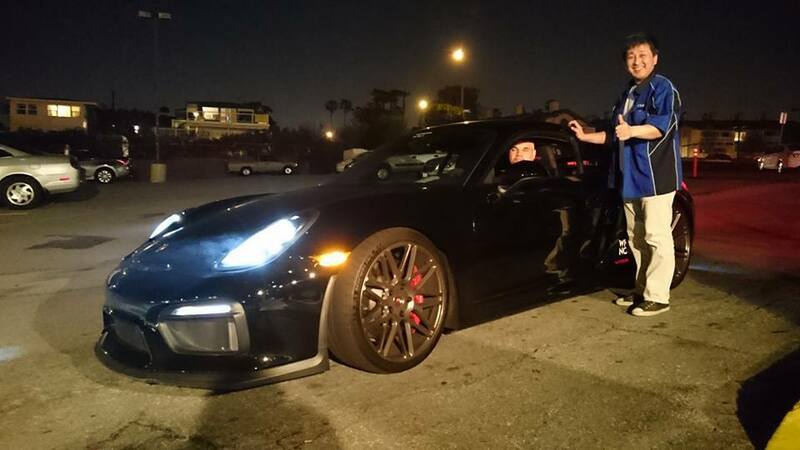 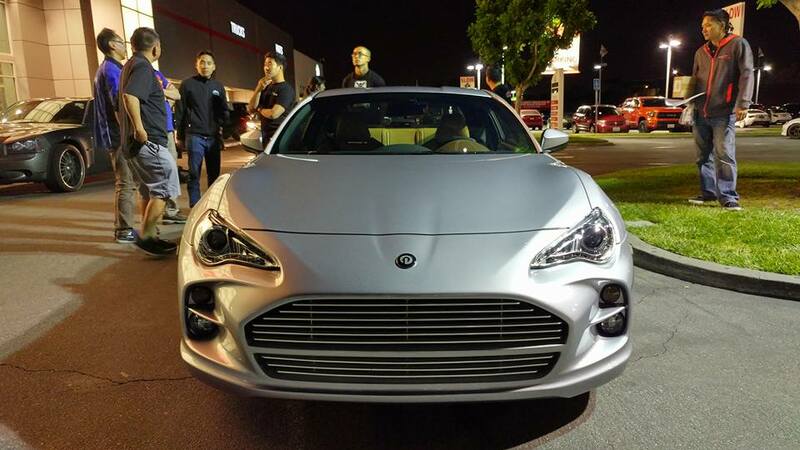 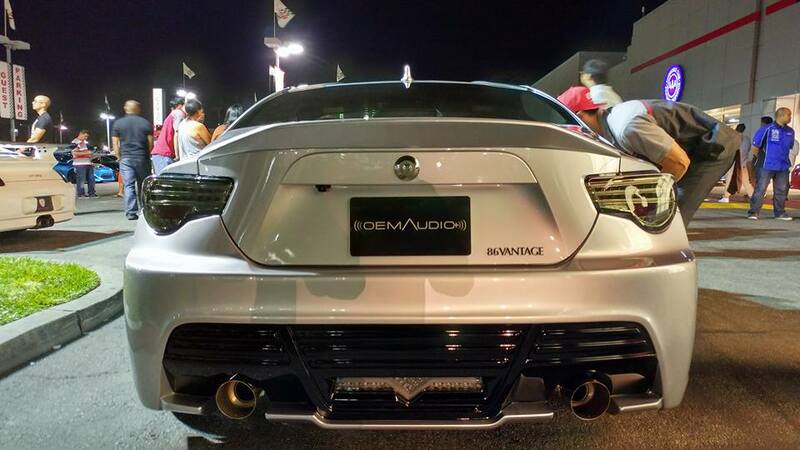 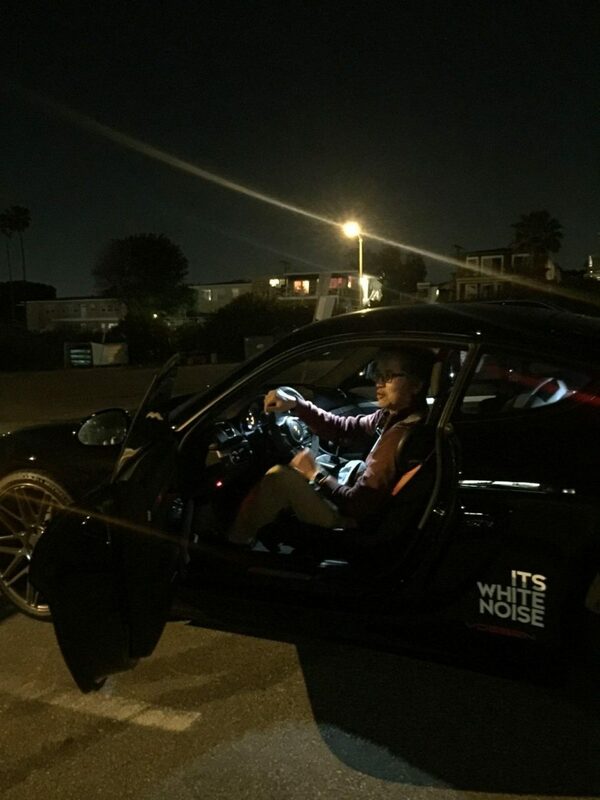 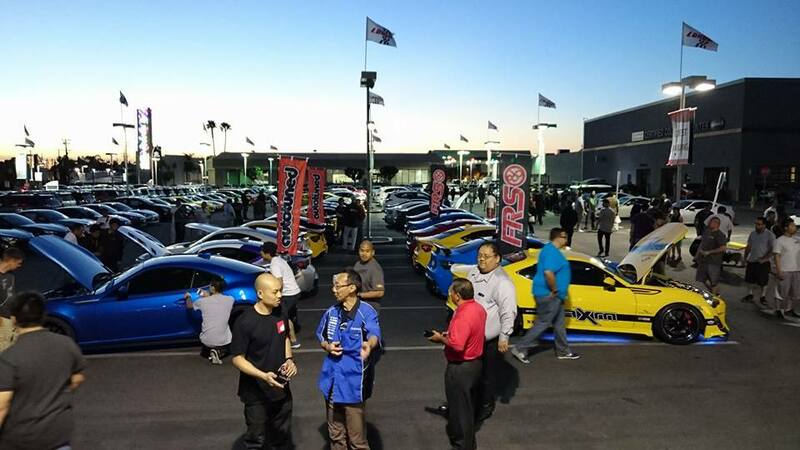 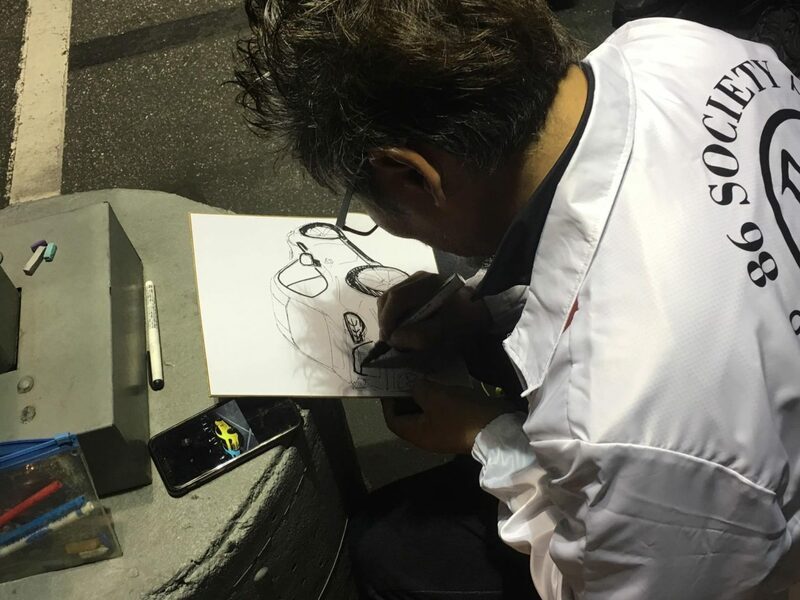 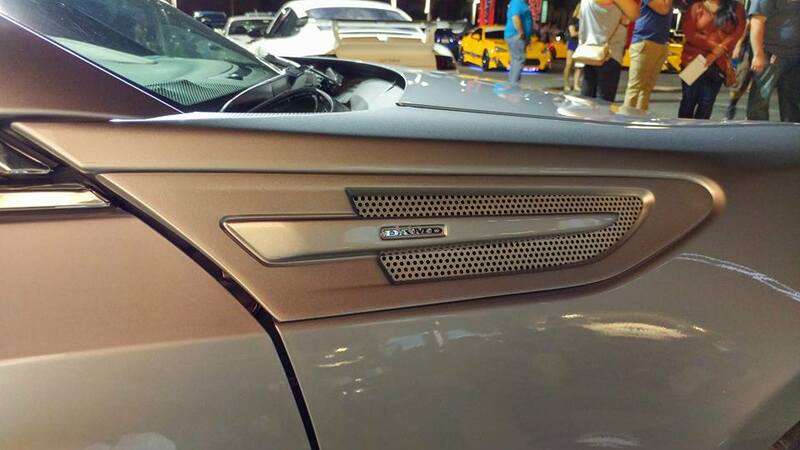 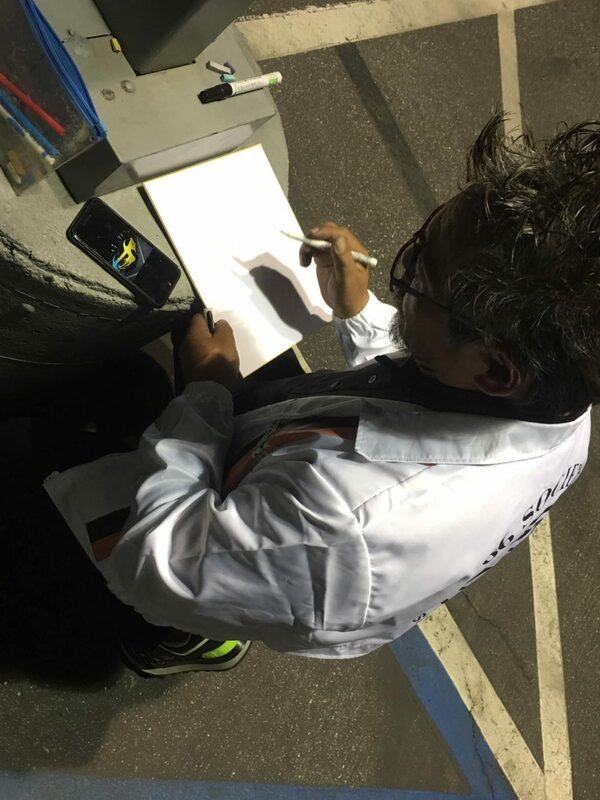 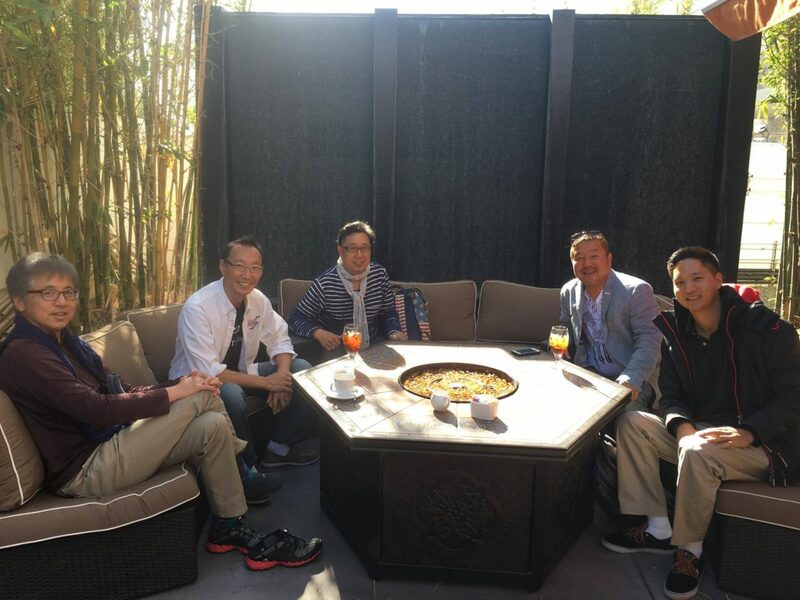 Vossen's Mike Forsythe, Lexus International's Paul Williamsen, Kaizen Factor's Ryan Bacsafra, Beat-Sonic USA's Eric Kwon, and Socal South-bay 86's Ron Bautista, Sandy Lirag and his family to celebrate the unveiling of the DAMD OEM+ "Vantage 86!!" 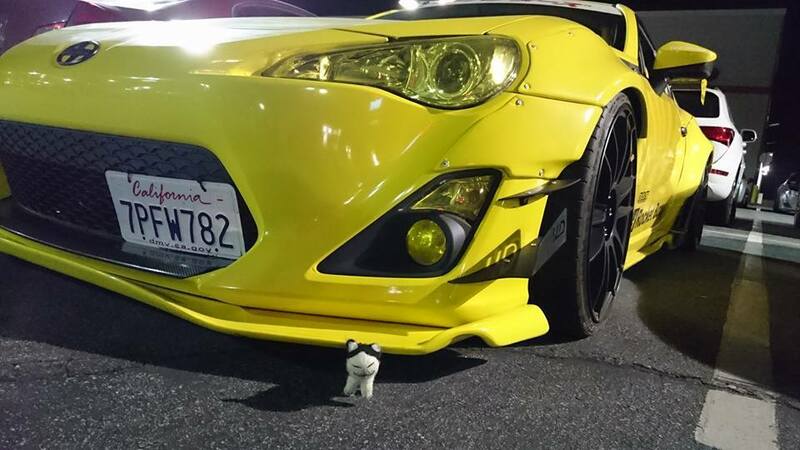 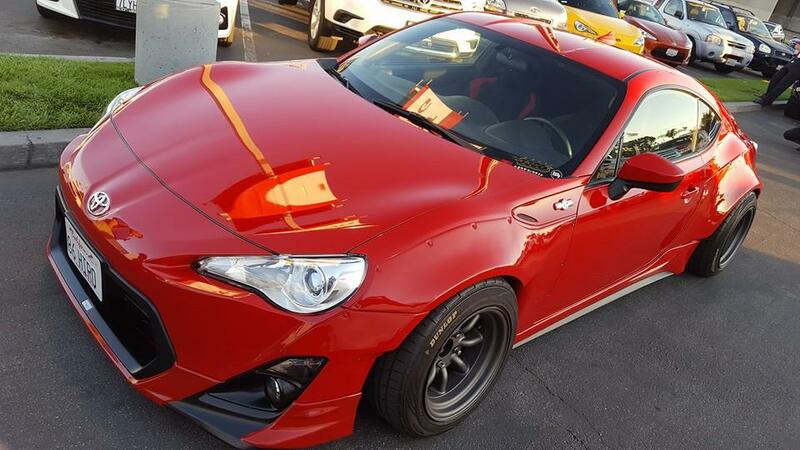 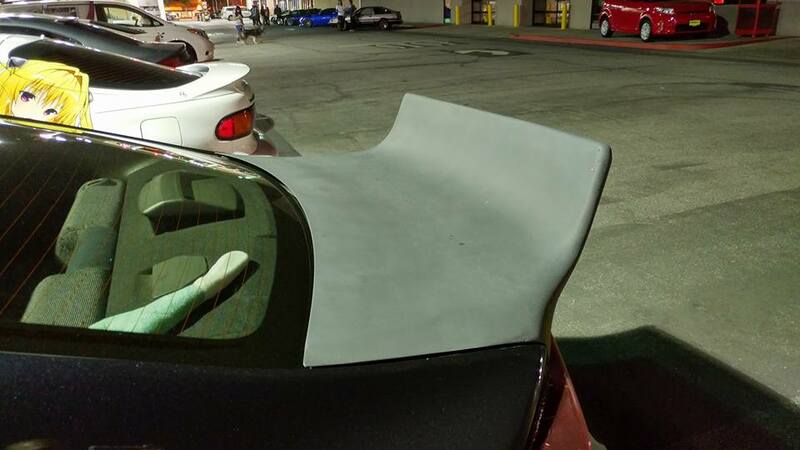 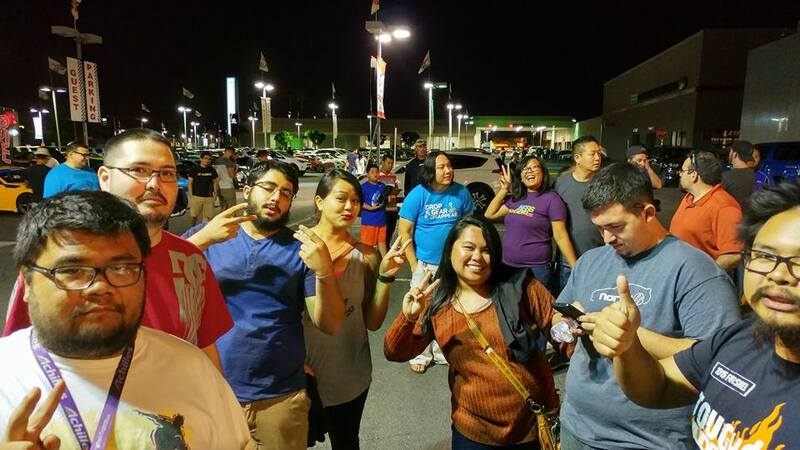 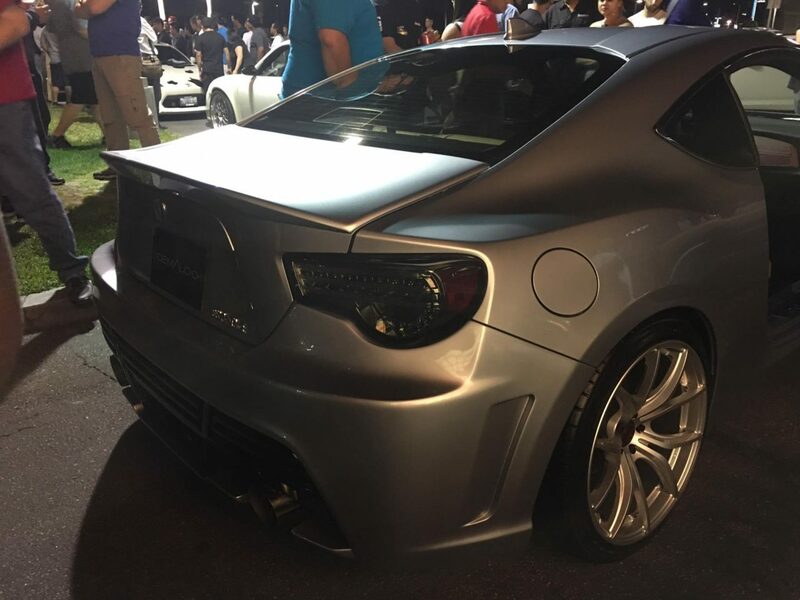 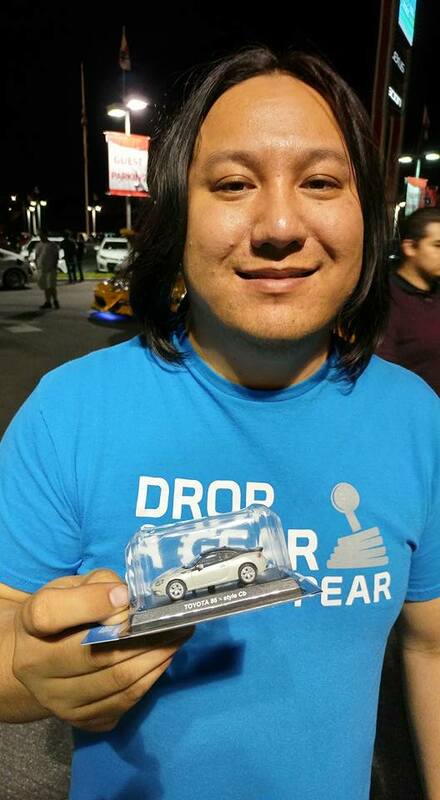 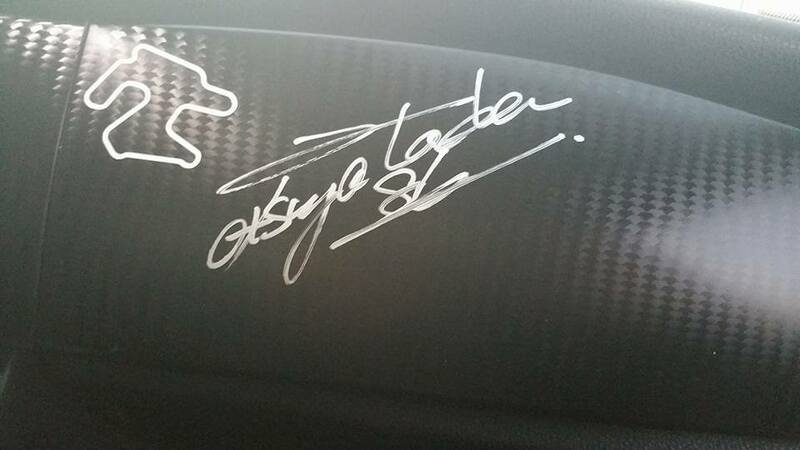 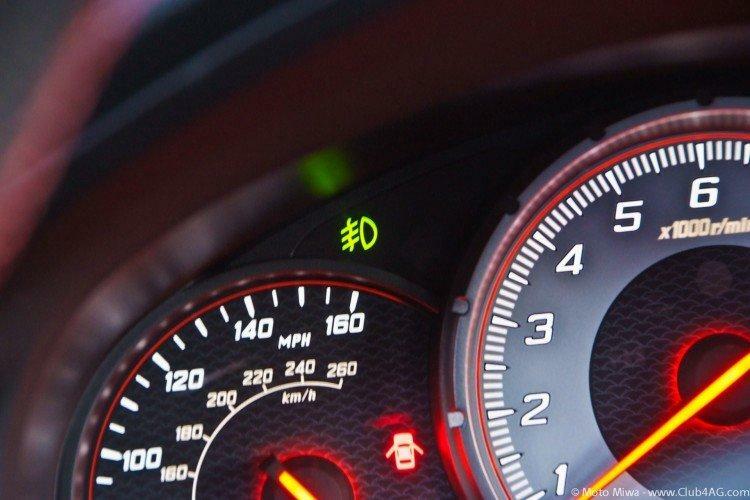 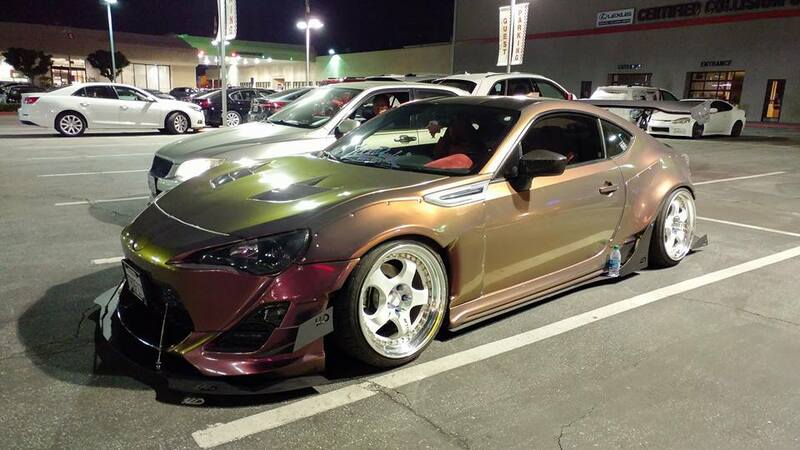 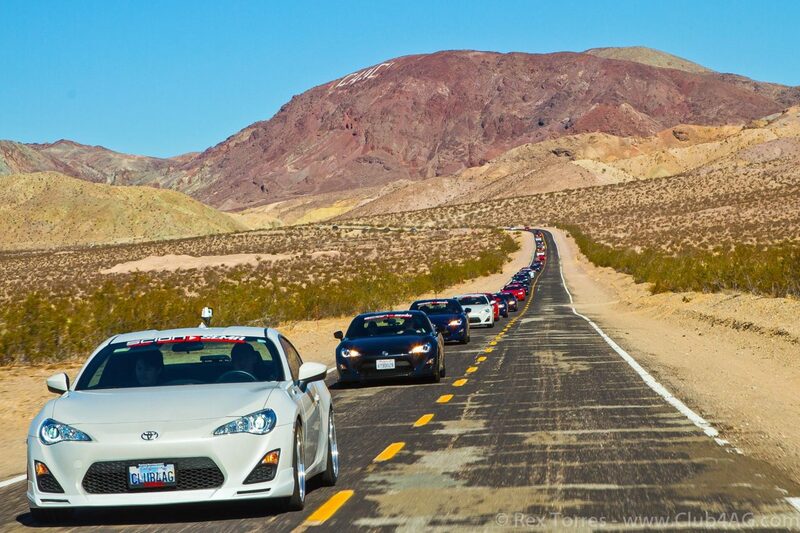 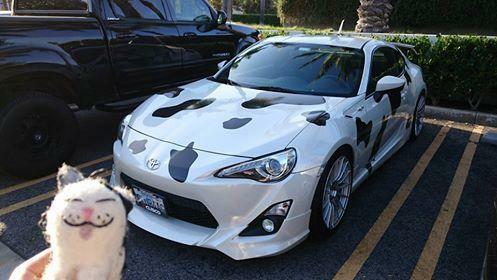 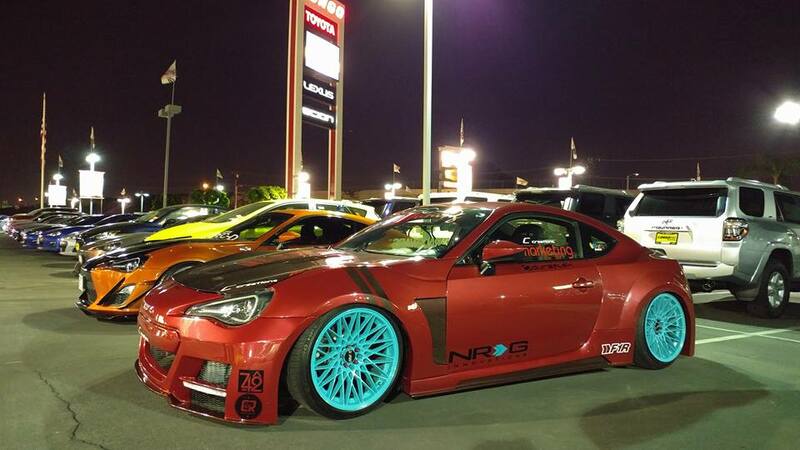 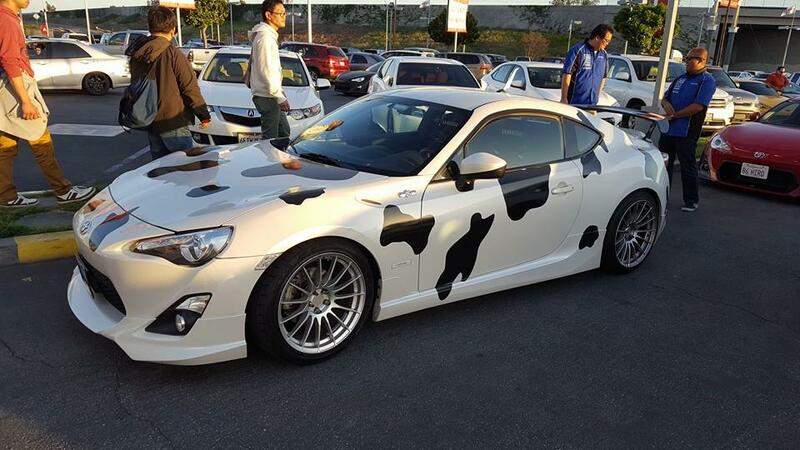 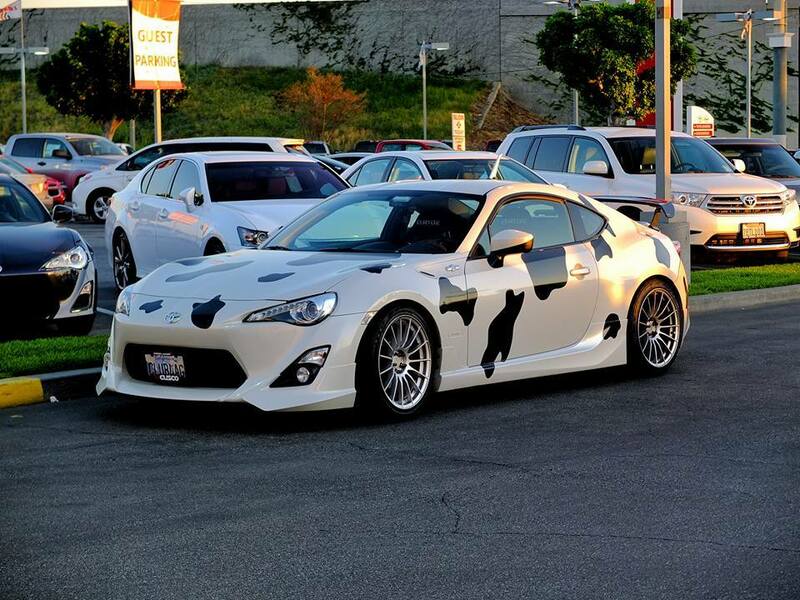 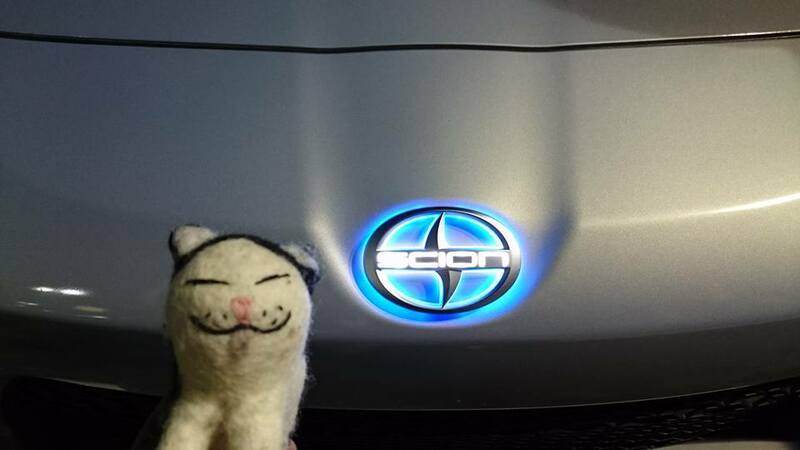 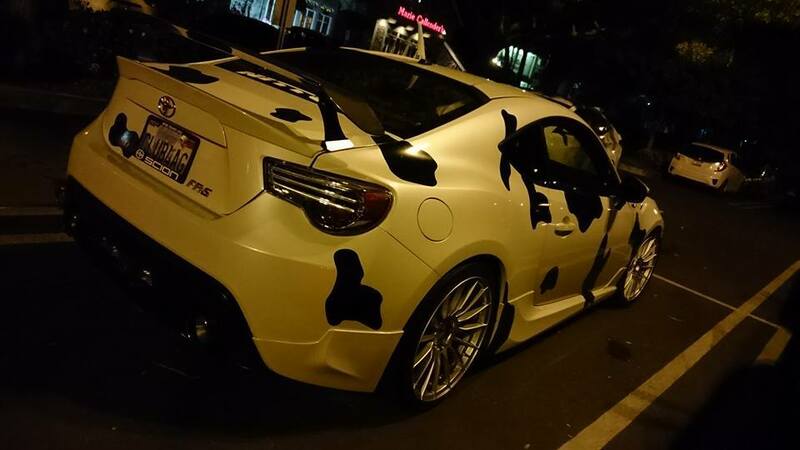 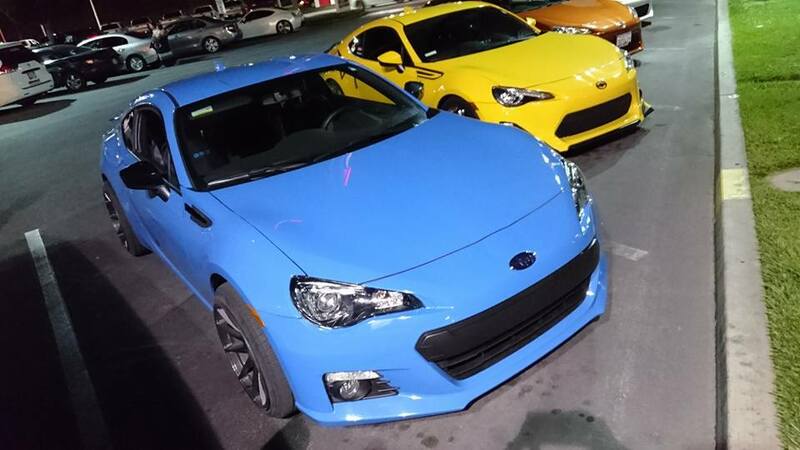 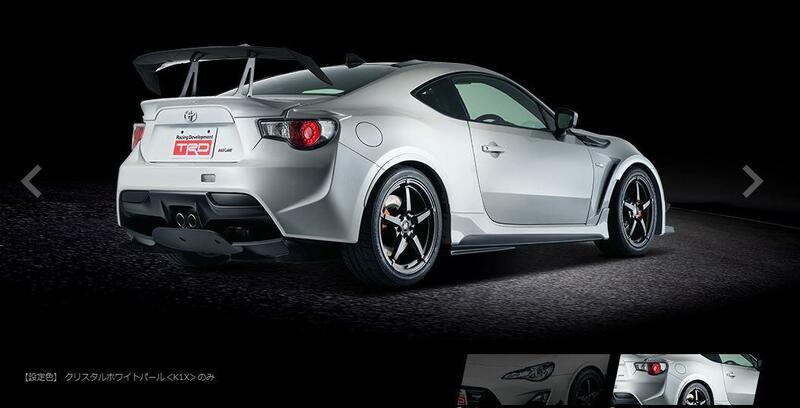 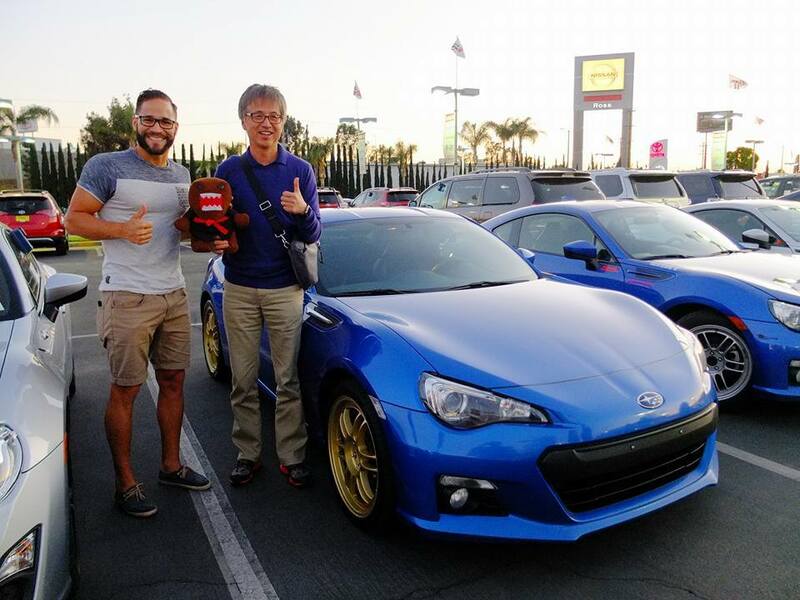 and hundreds of FRS/BRZ owners of the West Coast! 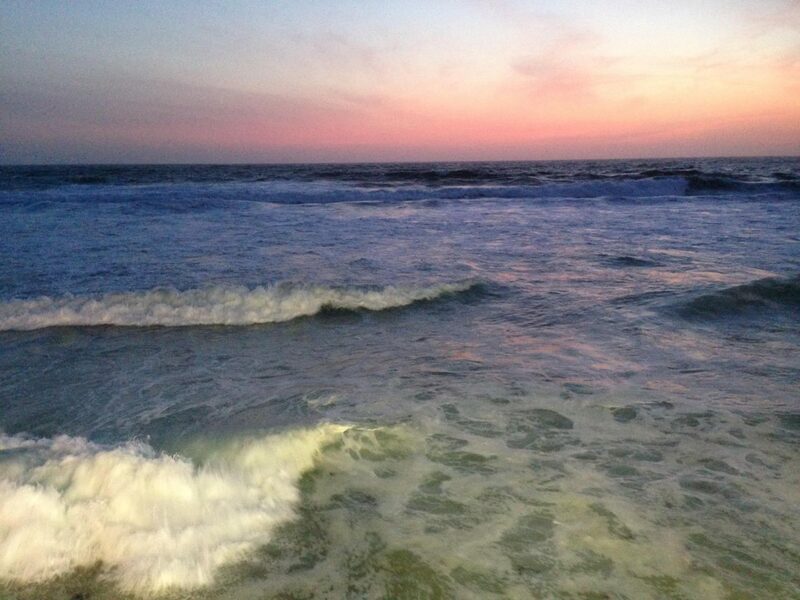 I guess pictures speak a lot more than my poor English so I will just show you these following photos. 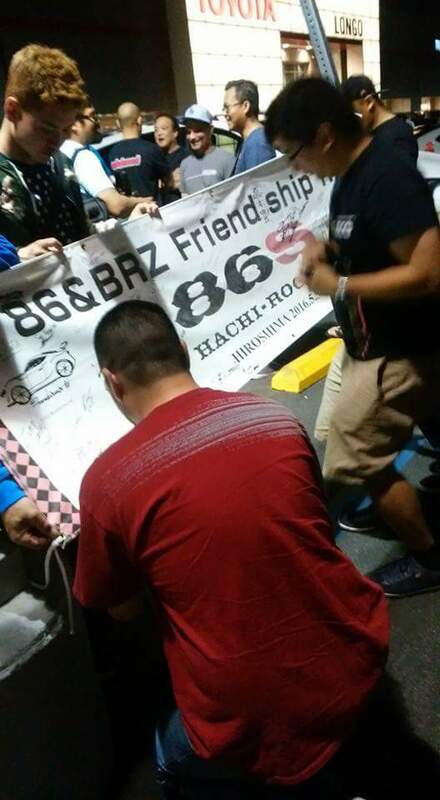 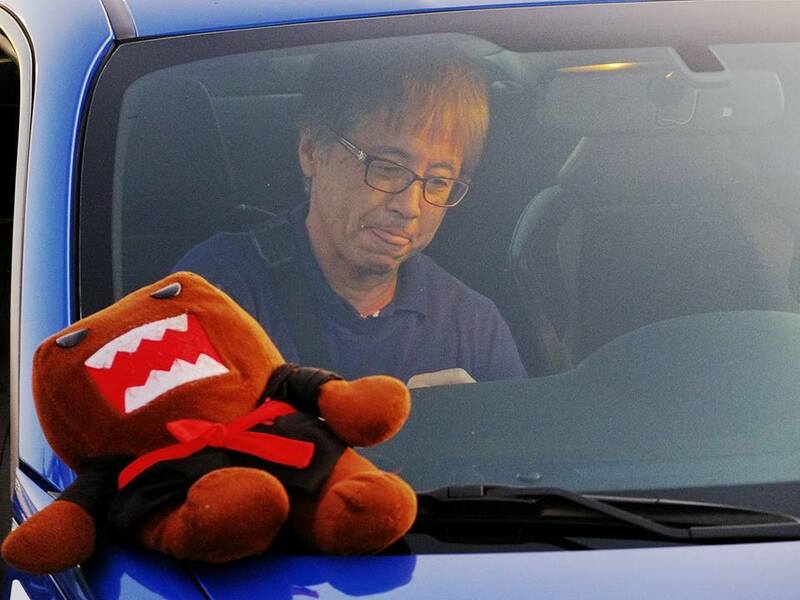 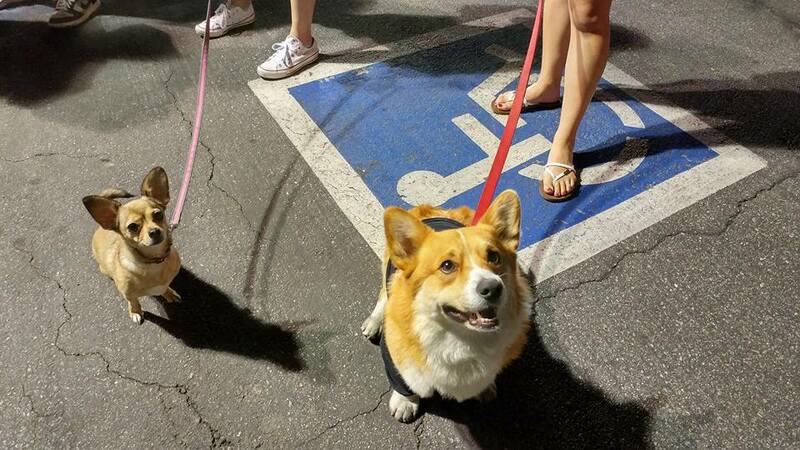 Can't you just see the joy, the friendship, the fun, and wonders that is the 86's fanbase?